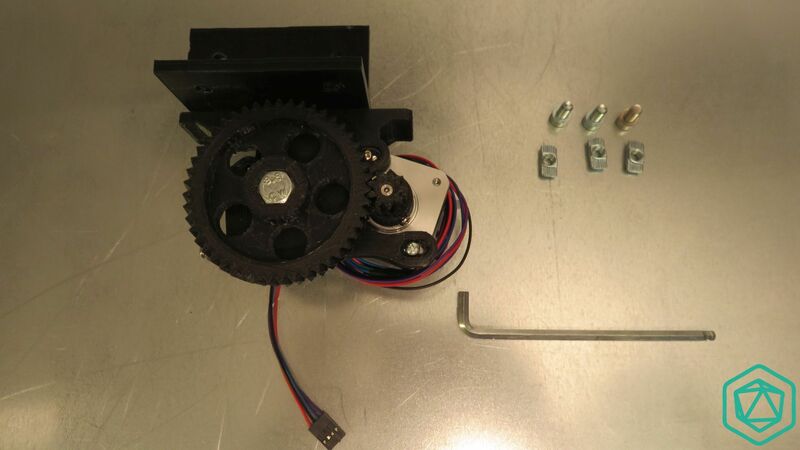 This documentation was made for Greg’s extruder model and some additions were made to fit the currently provided MK8 bowden extruder. 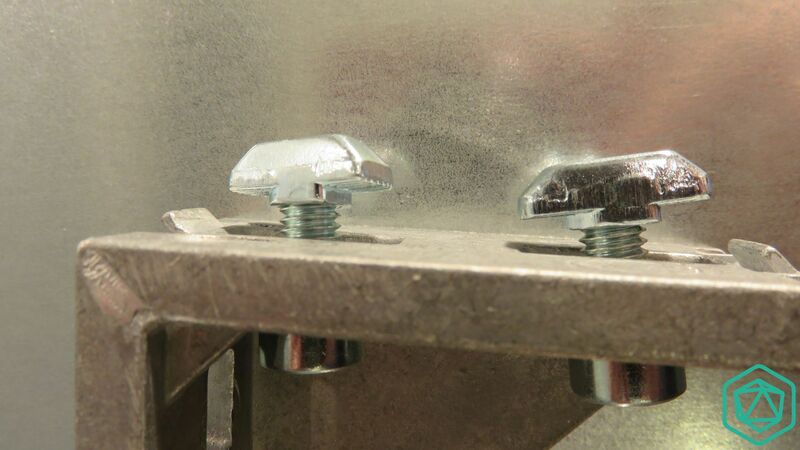 Start by preparing 2 set of screw/t-nuts so that they are located below the big gear wheel. 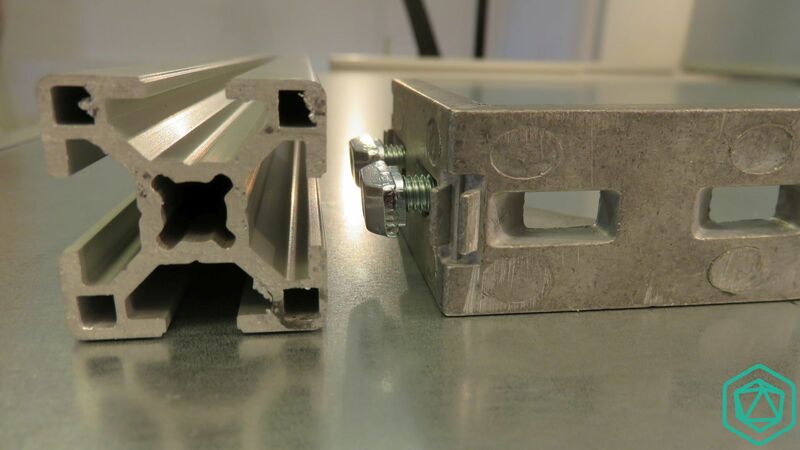 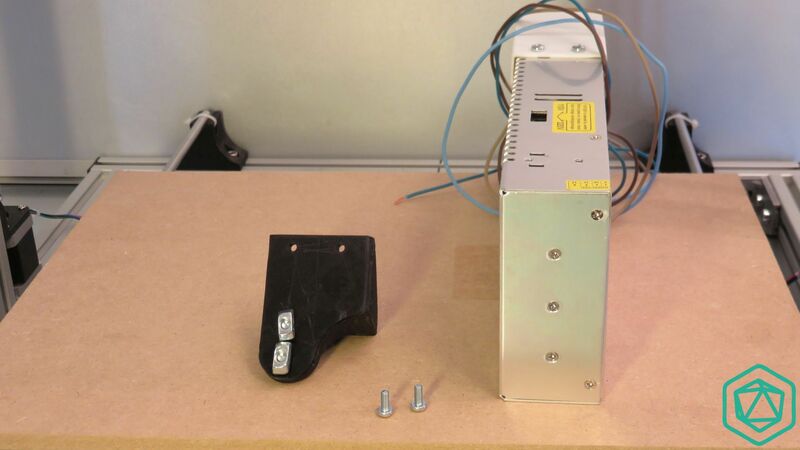 The goal here is to place it right next to the power supply unit on the top aluminum extrusion. 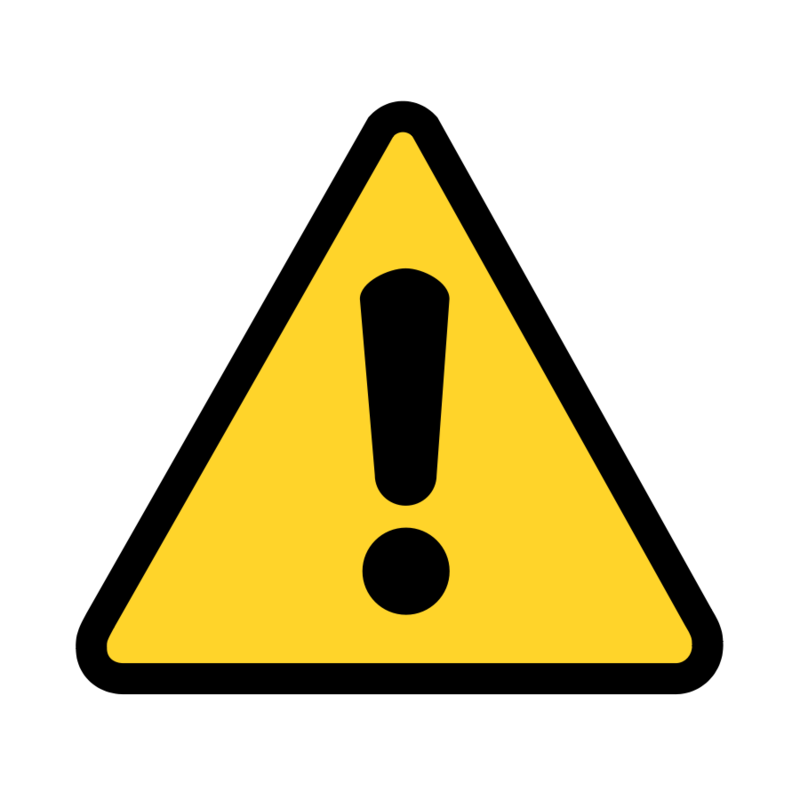 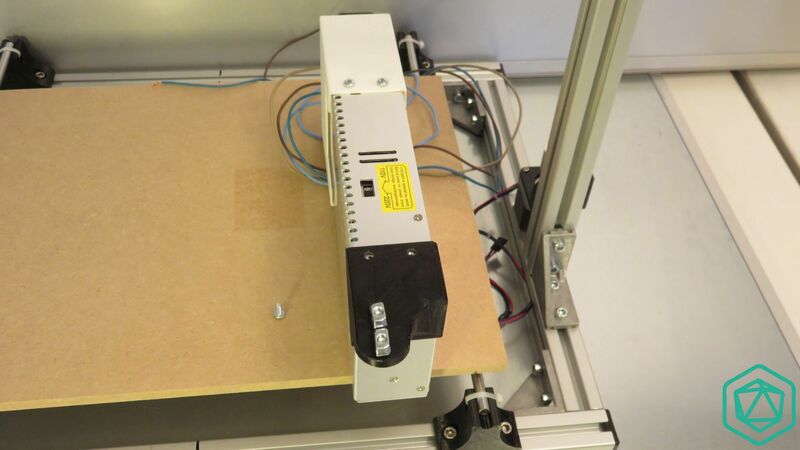 If you look at the printer from the front, the power supply should get to your right. 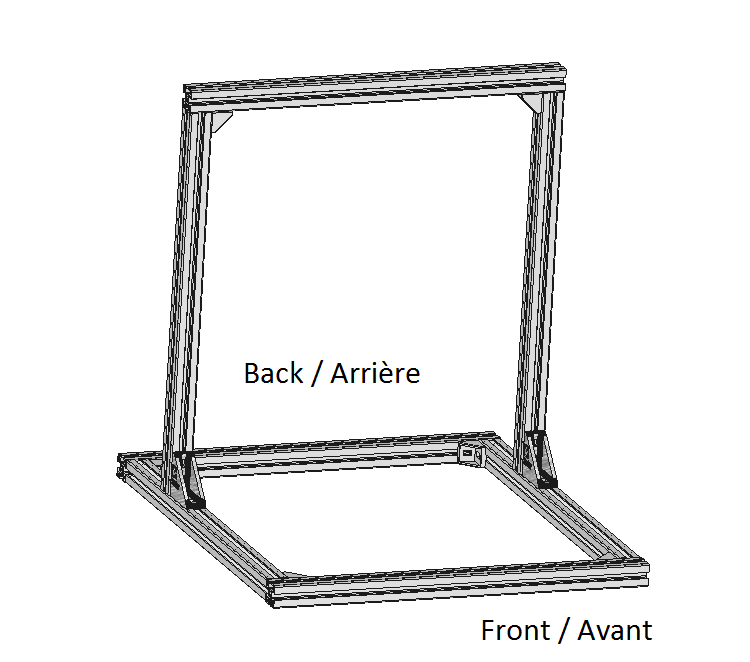 On this photo this is the back view. 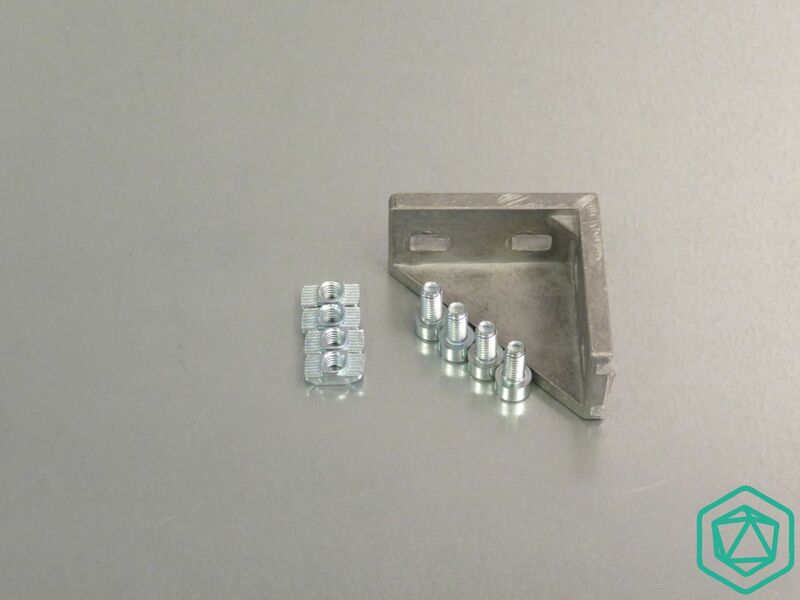 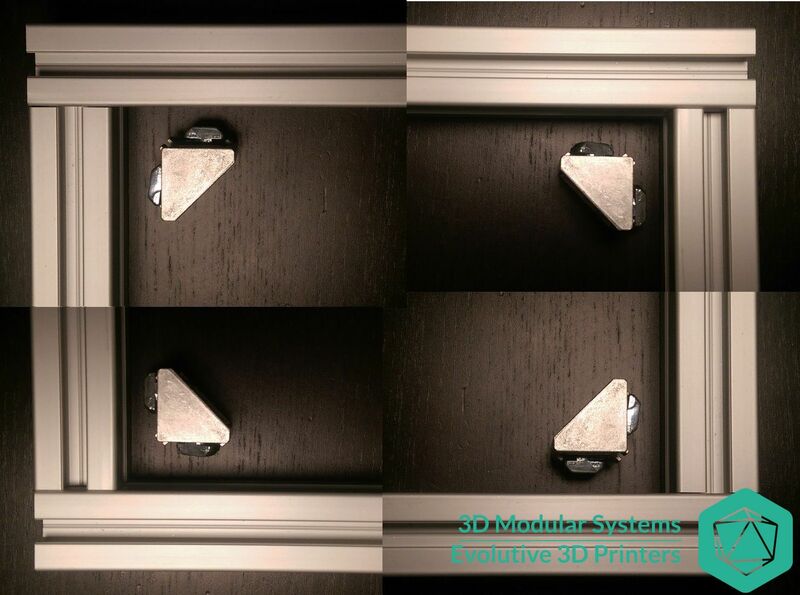 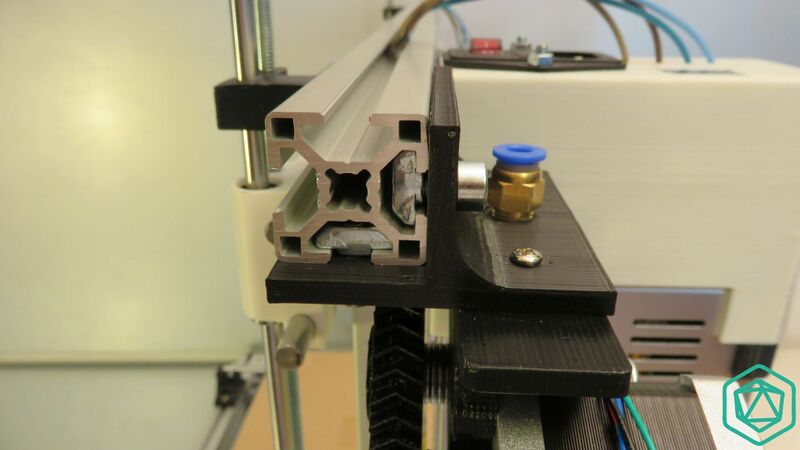 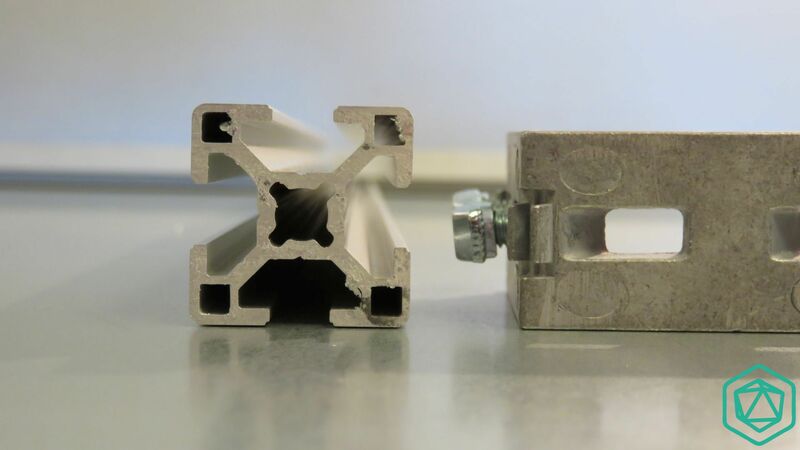 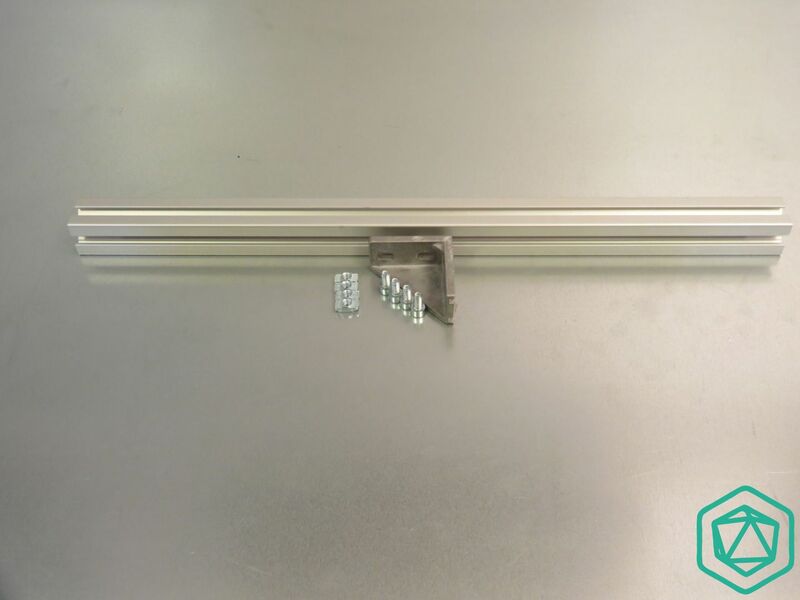 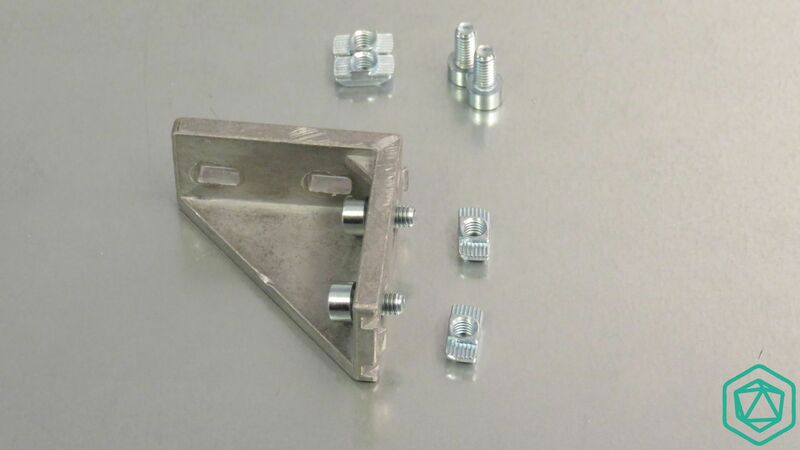 Place the extruder so that the screws start to get inside the slots located below the aluminum extrusion. 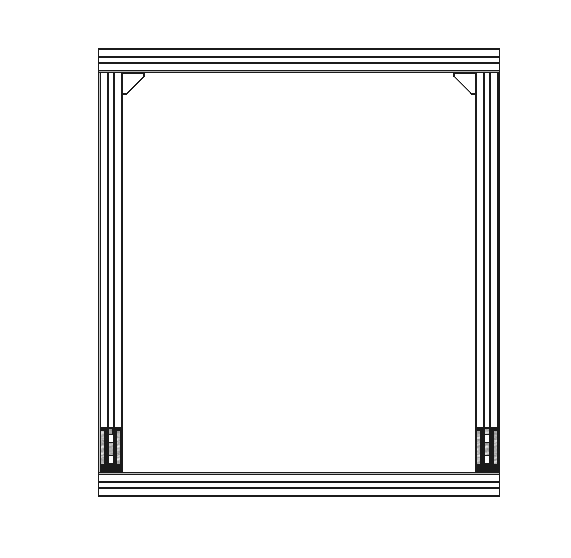 The picture shows you an example. 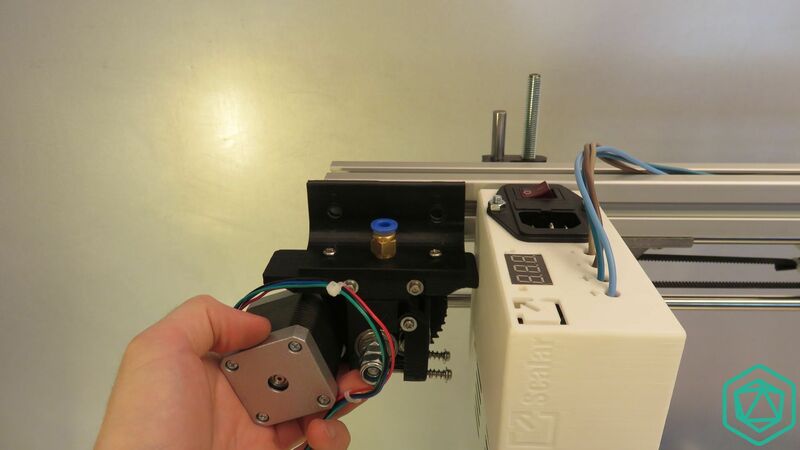 For MK8 Extruder the process is very similar as shown on this picture, except that the motor is located in the opposite side. 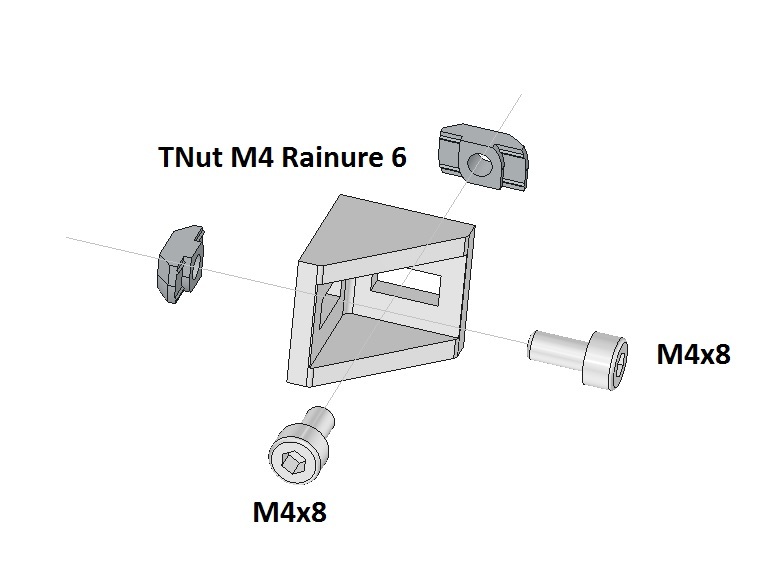 The side view (right view) show the location of the T-Nuts, they should perfectly fit inside the extrusion slot. 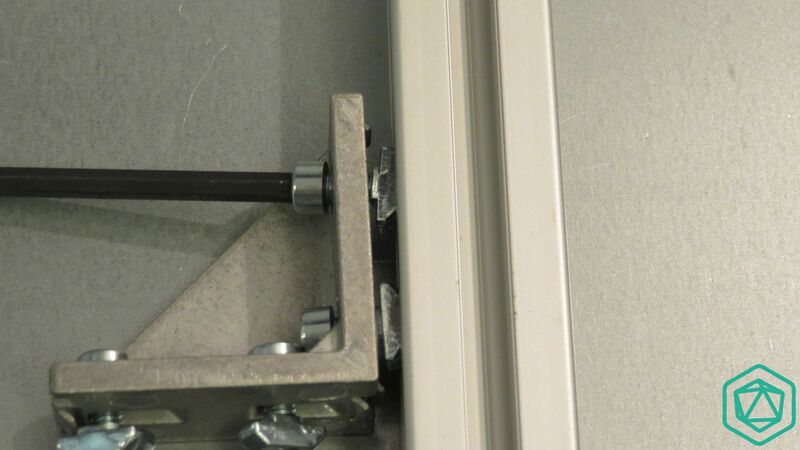 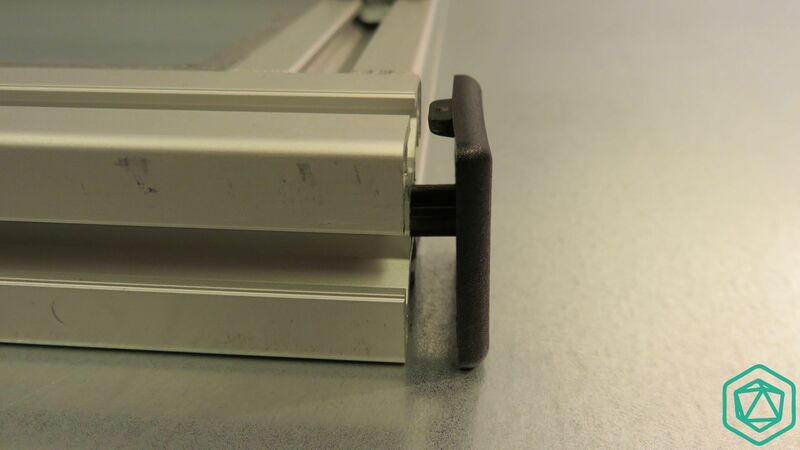 If you already placed some side cover, remove it slowly with a flat screw diver, it’s interesting that it’s removed so that it will be easier for you to make sure the screws are properly attached. 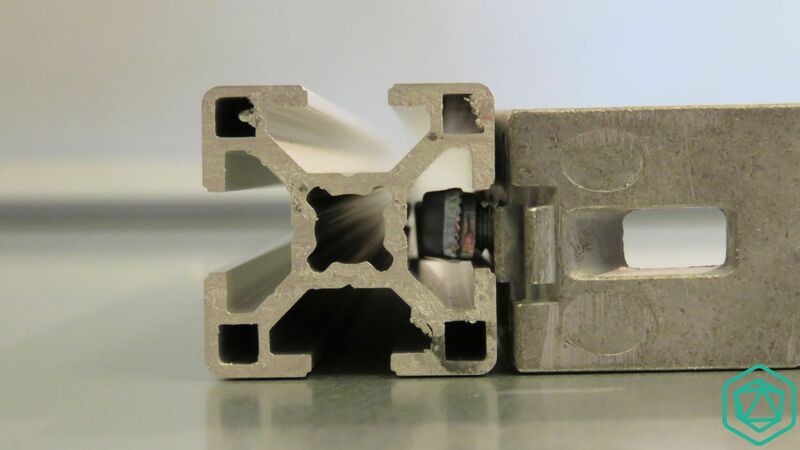 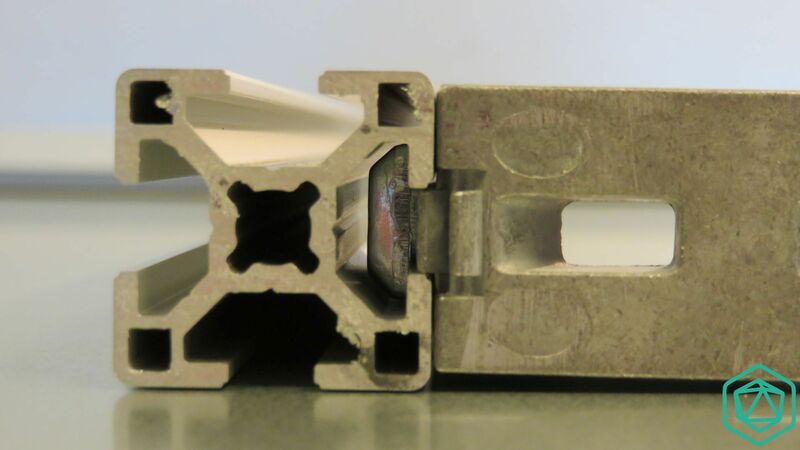 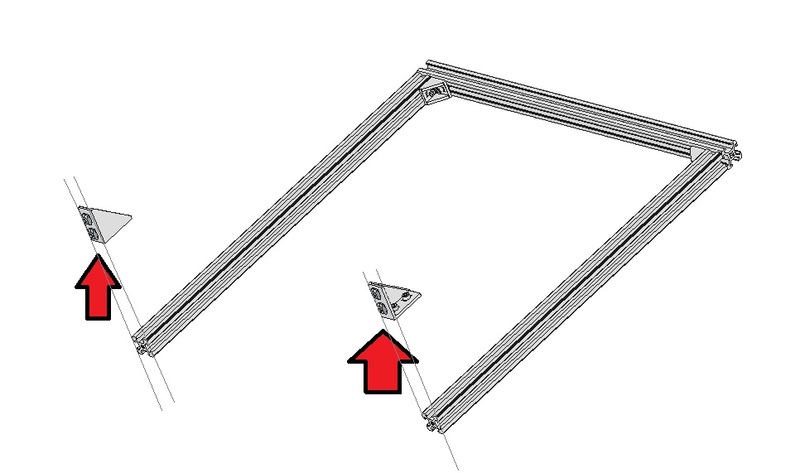 Otherwise the T-Nut on the edge of the extrusion might not turn and will not self lock. 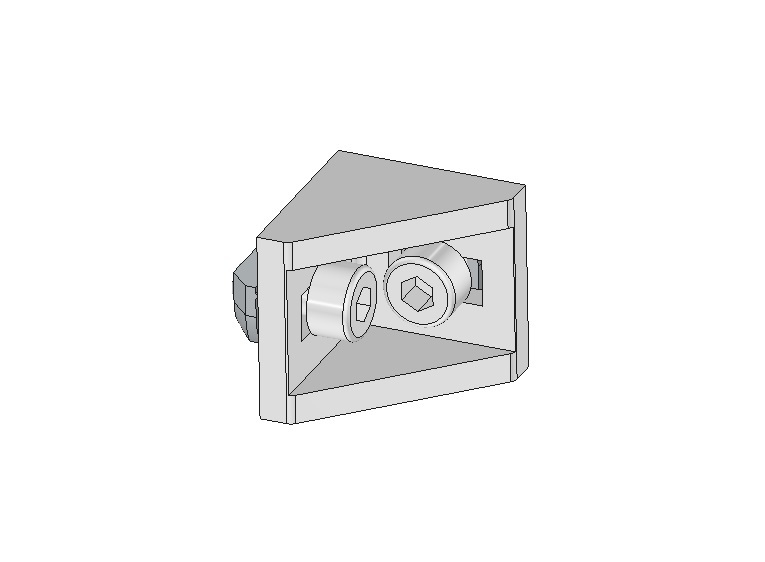 For MK8 Extruder, again it’s very similar. 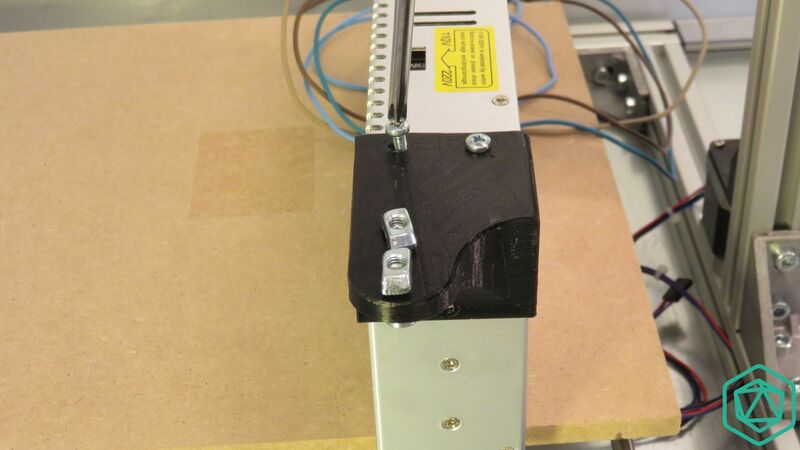 The stepper motor is below the top extrusion profile. 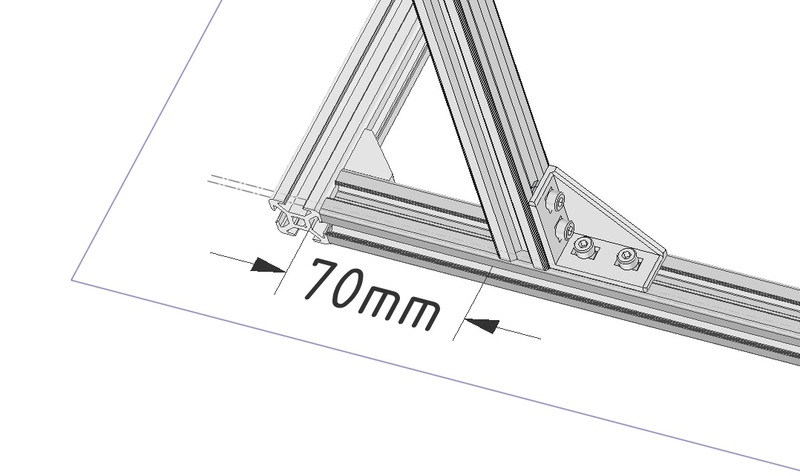 Here a zoom showing how it should fit inside. 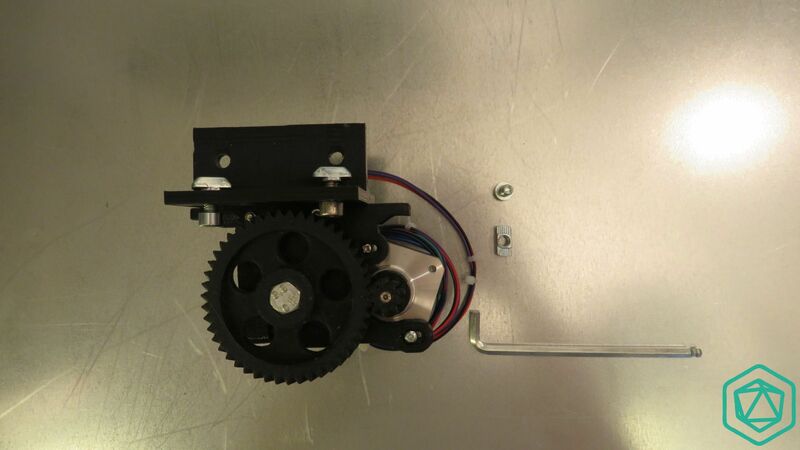 Those 2 screws will make the most of the work keeping this extruder in place. 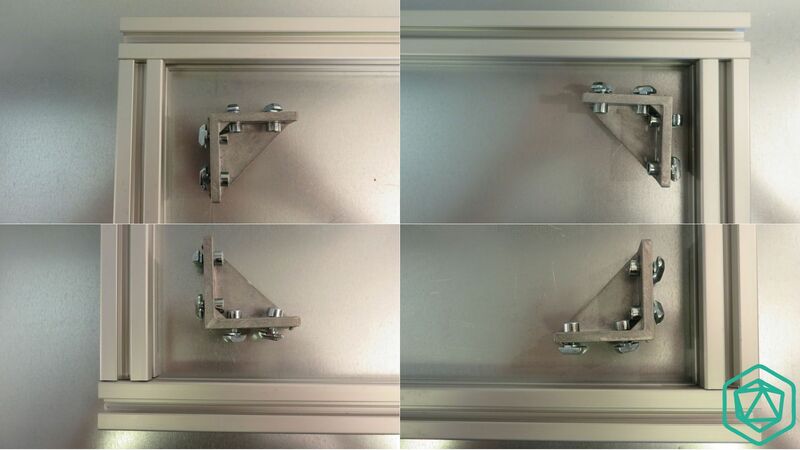 Once properly inside the slots, screw it and add a side set of Screw+T-Nut . 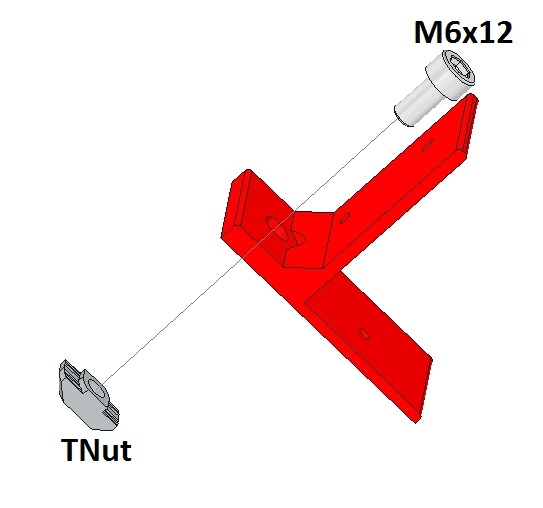 You should be able to easily insert those even if sometimes the T-Nut won’t align properly with the screw. 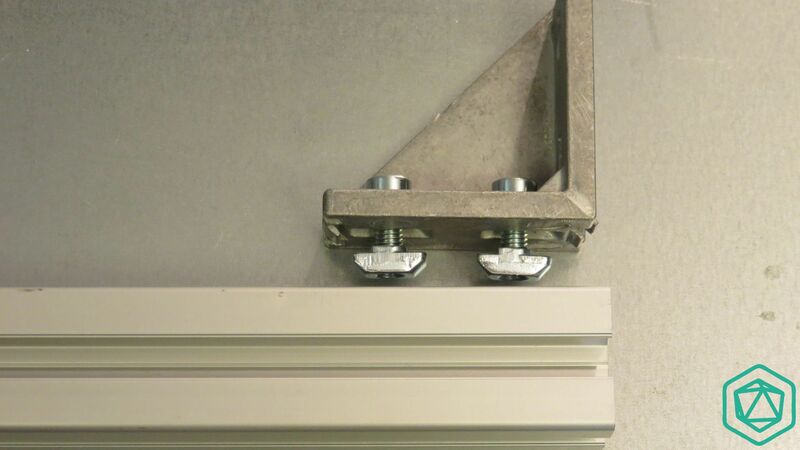 Now screw it. 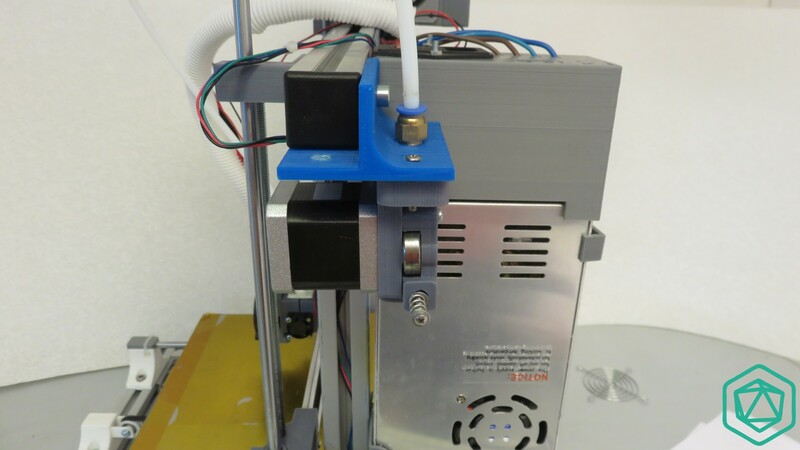 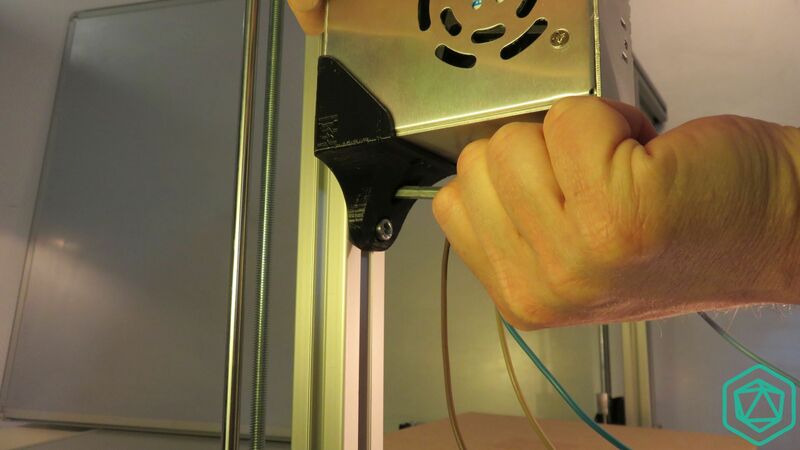 It will maintain properly the extruder on the side and prevent it from vibrating. 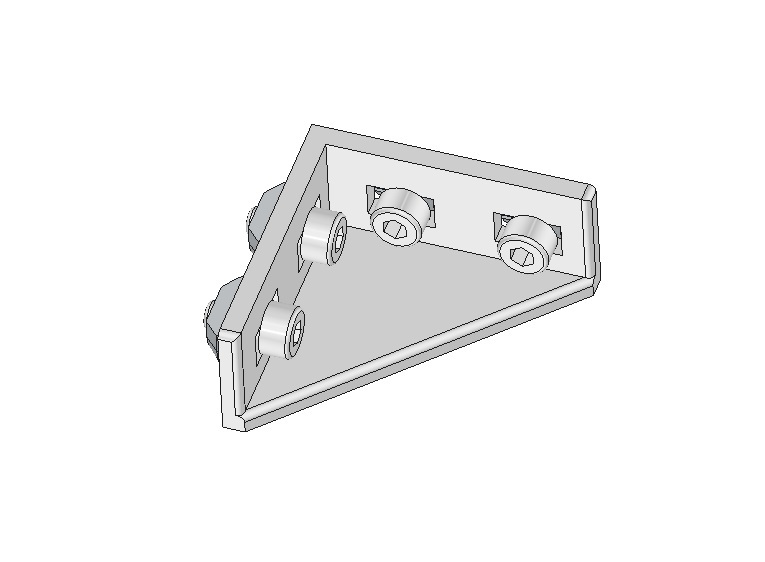 Now you can put back the side cover. 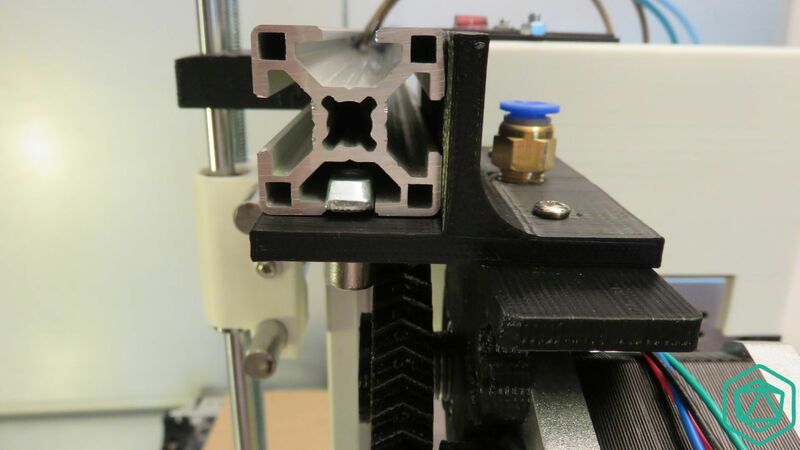 The extruder might slightly go beyond the extrusion. 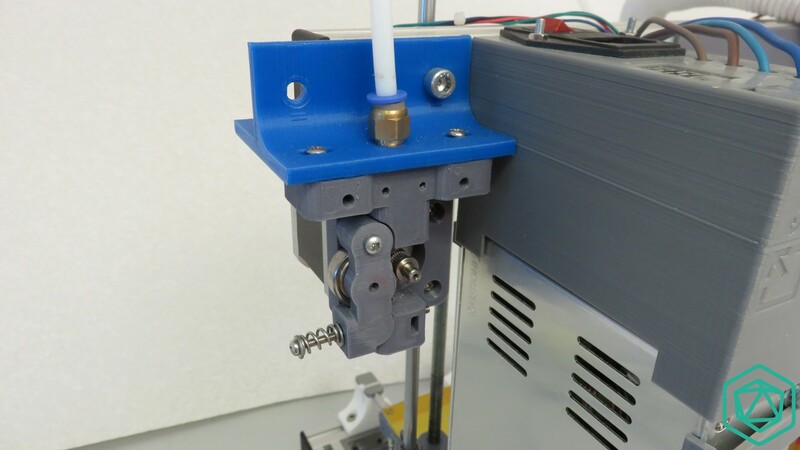 So the side cover should align with the side of the extruder. 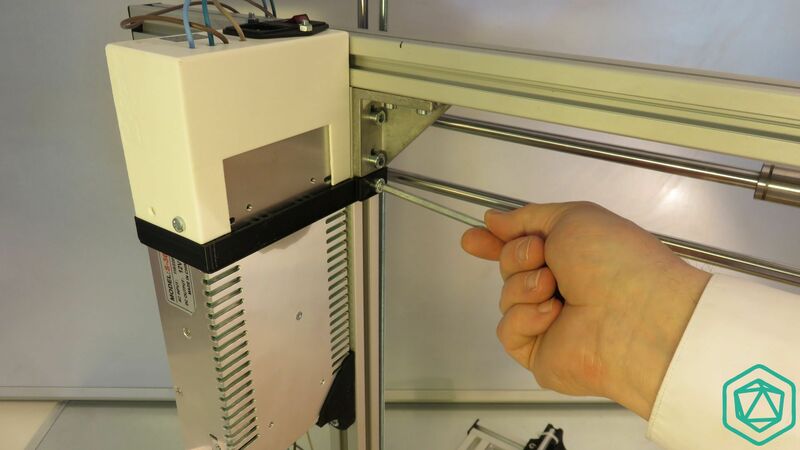 Push it in place to finish the assembly. 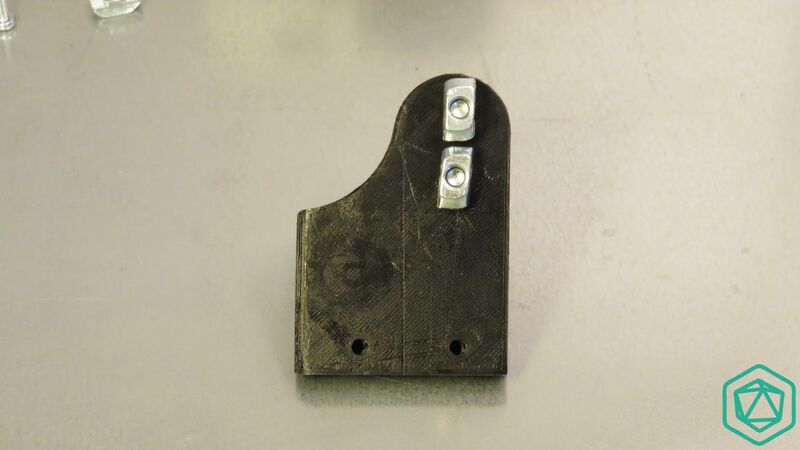 For MK8 extruder the back view should look like this picture. 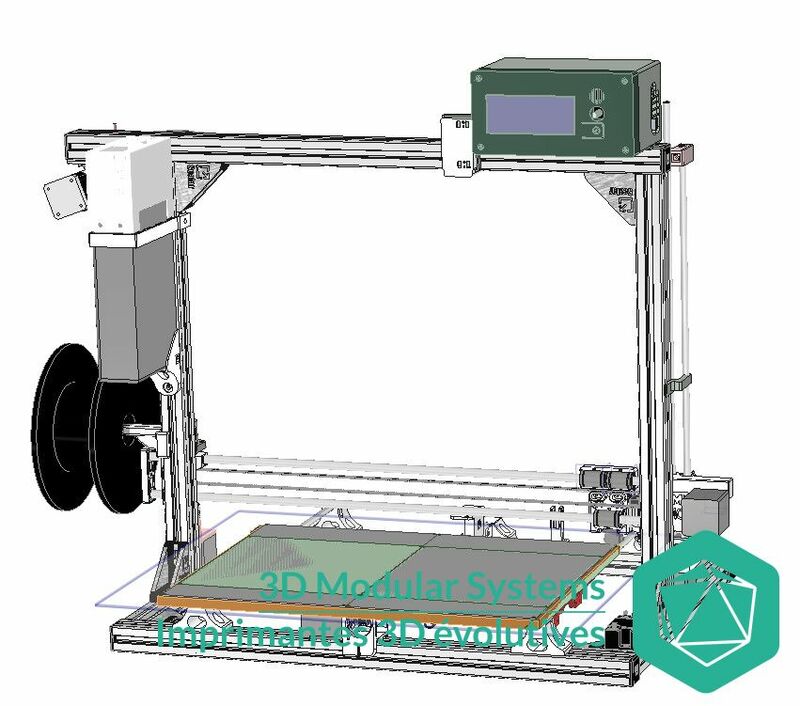 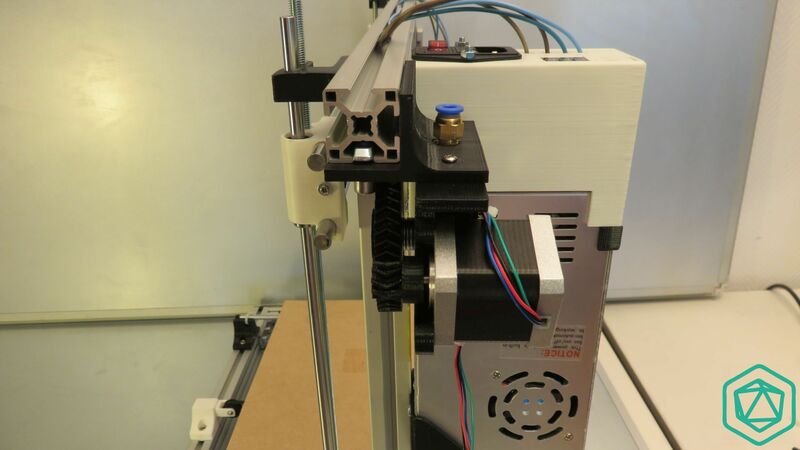 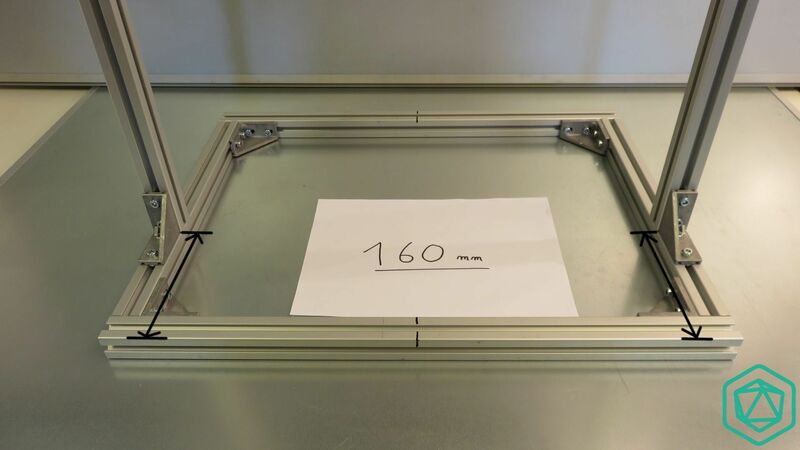 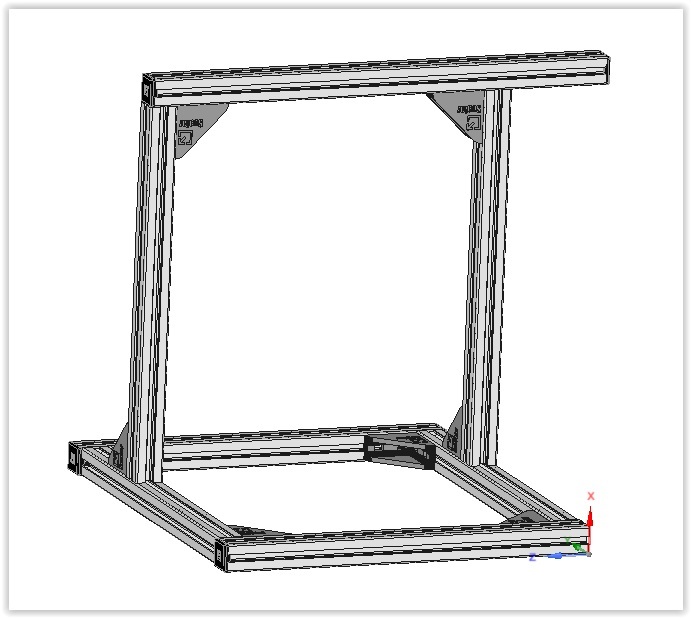 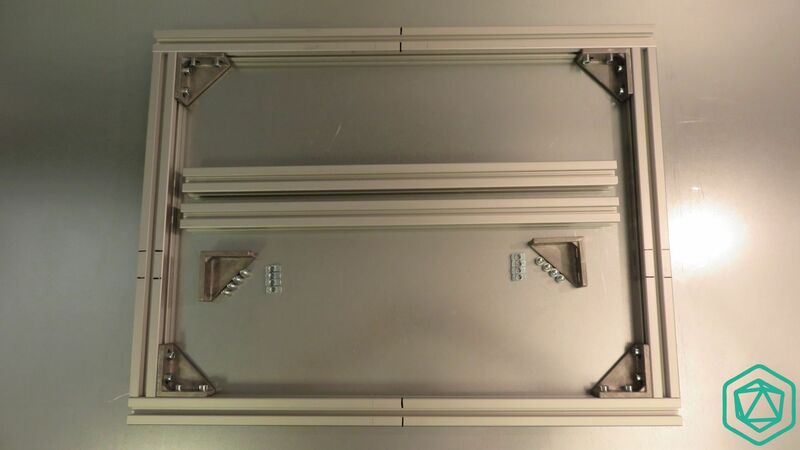 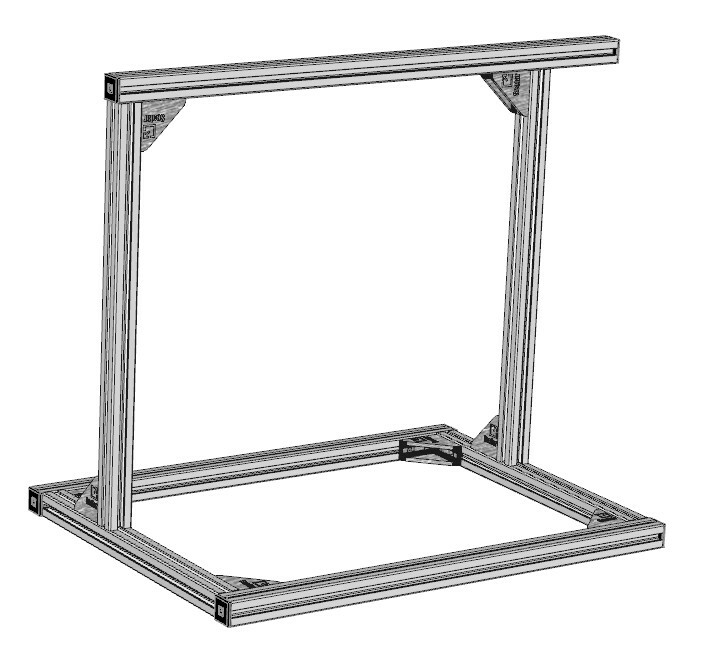 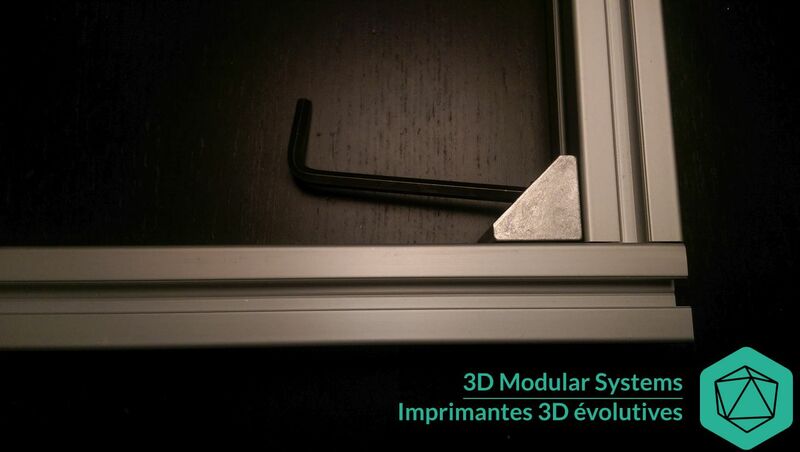 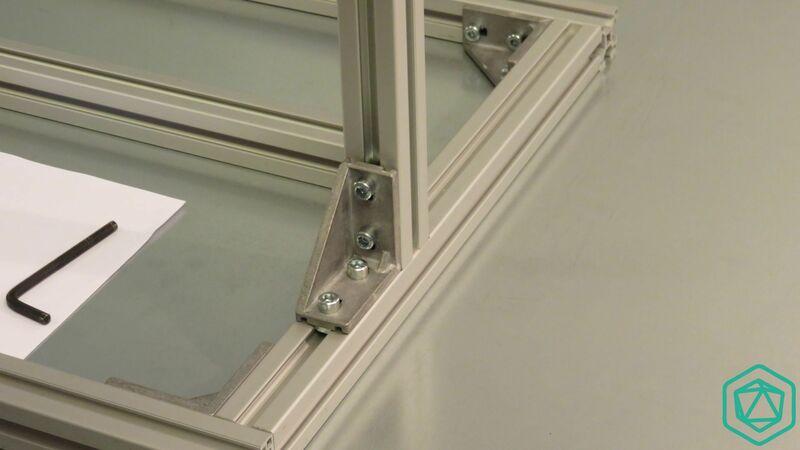 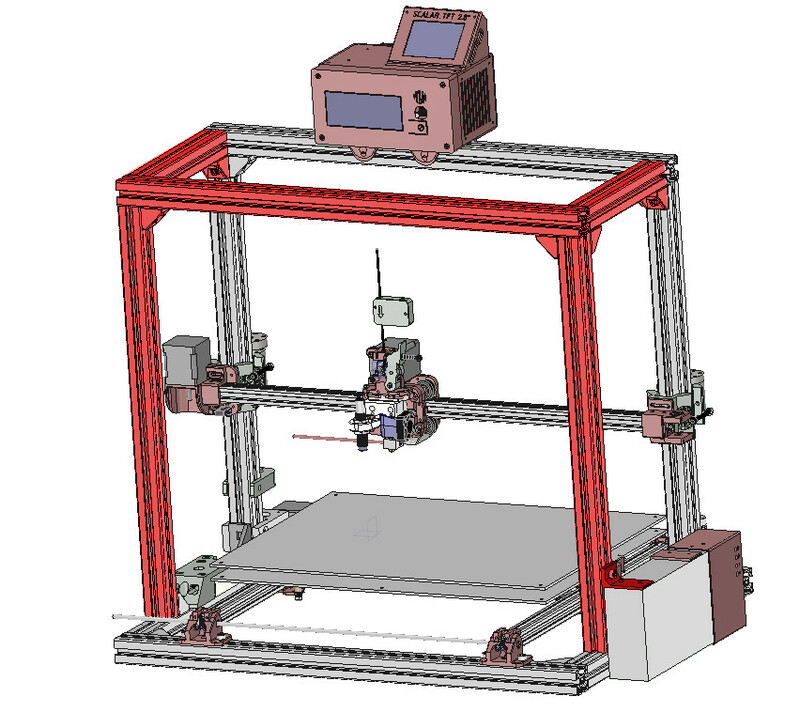 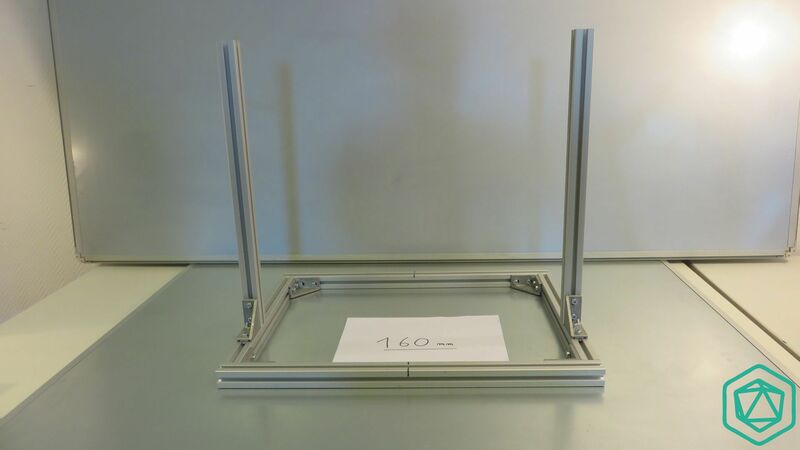 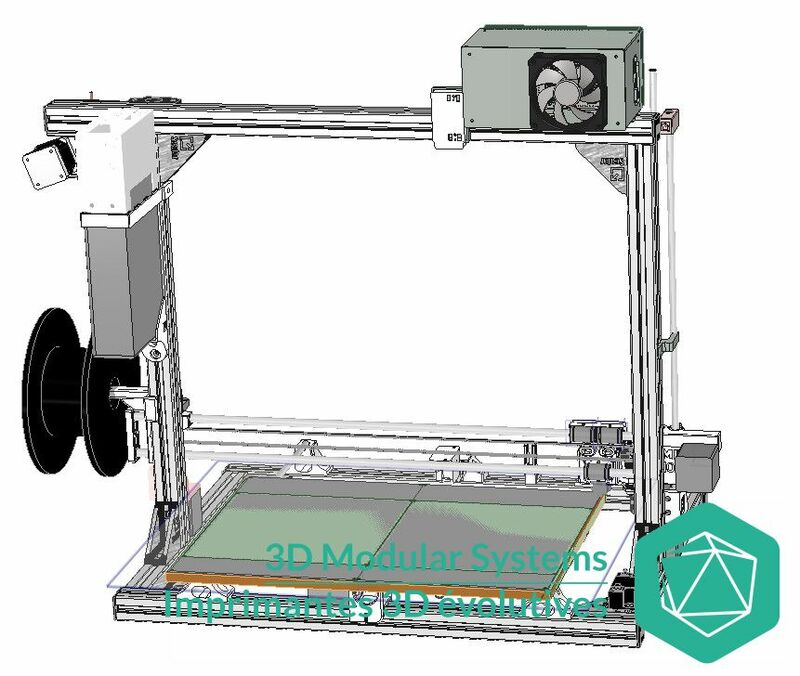 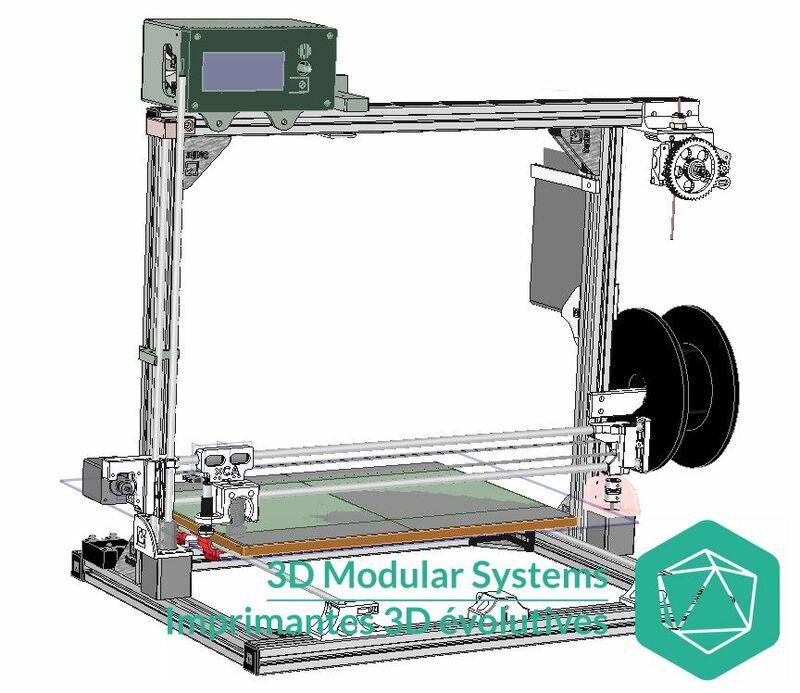 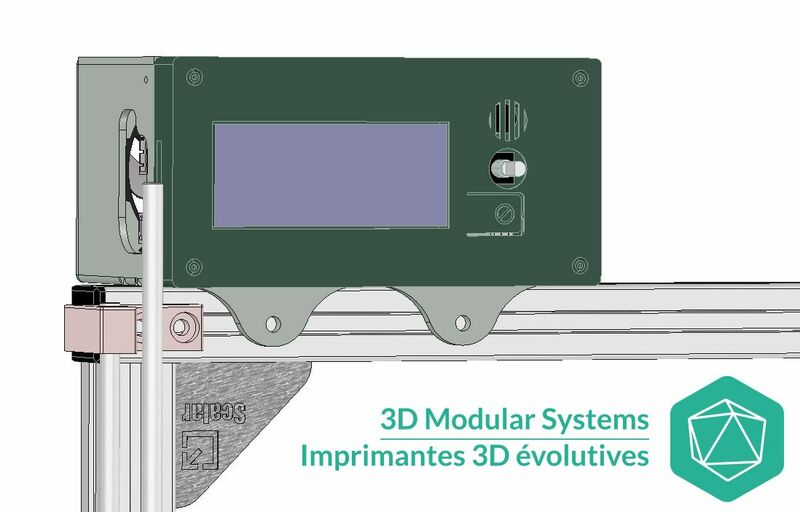 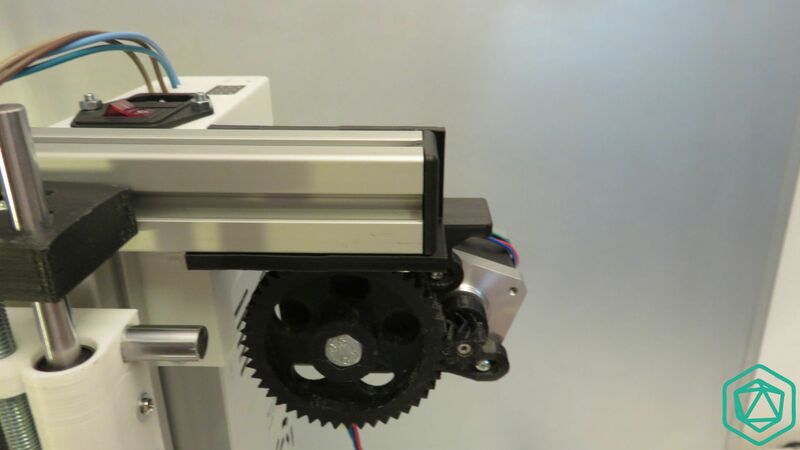 Cette entrée a été publiée dans Extruder, Imprimante Scalar, Imprimantes, Scalar XL, et marquée avec assembly, chassis, extruder, Greg's, installation, setup, le 15 May 2015 par 3D Modular Systems. 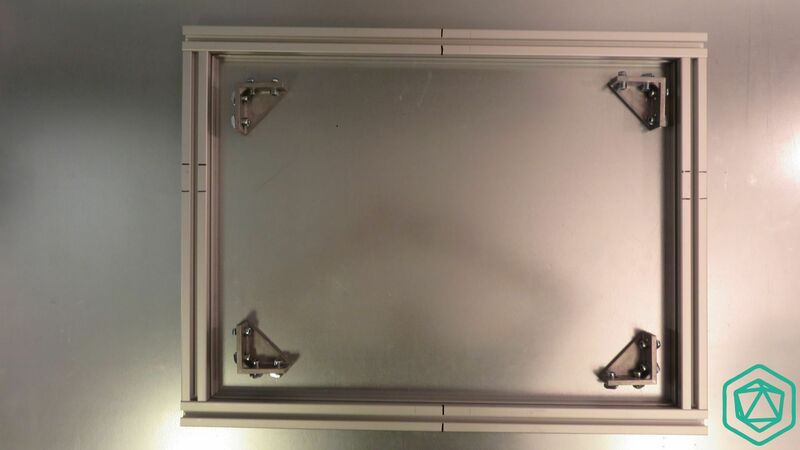 Inside some kits, an electronic box is provided already assembled. 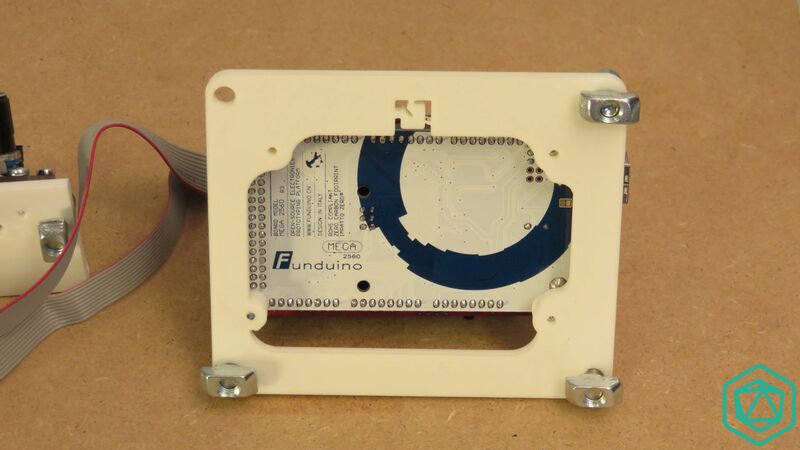 The electronic inside might already be installed. 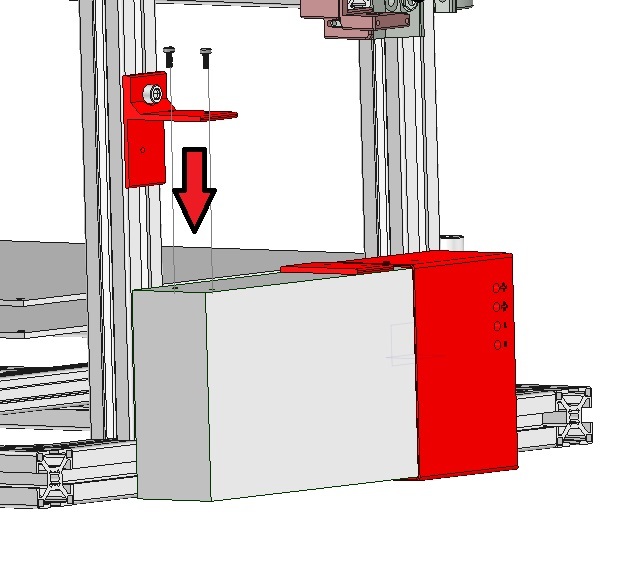 In this cas just place the box on the top of the chassis at the same location as the electronic support at the bottom of this page. 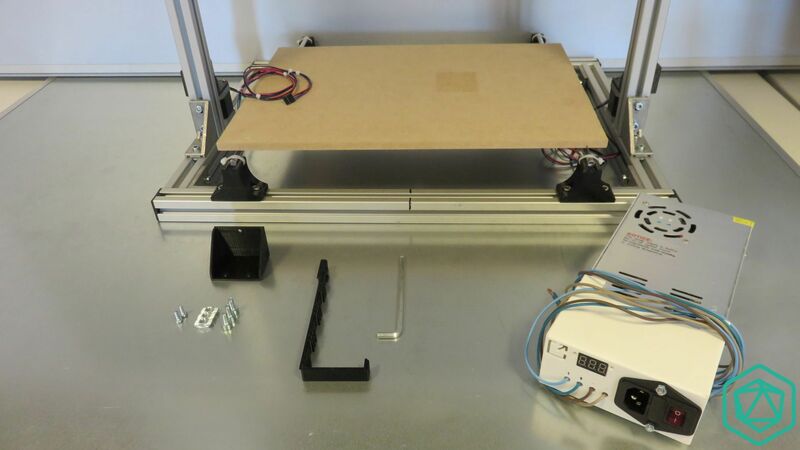 In the other case, the assembly is very similar, the arduino is to be screwed first and then the Ramps board comes on top of it. 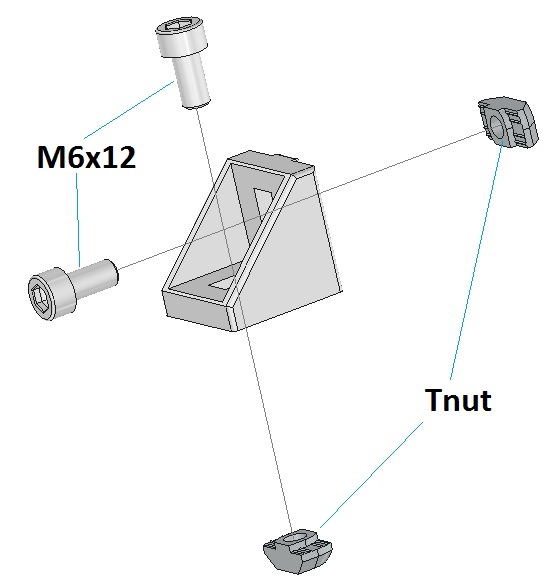 The 4 holes are asymetrical, so the USB connector of the arduino board and the Power terminals of the Ramps board should all exit on the right side of the box. 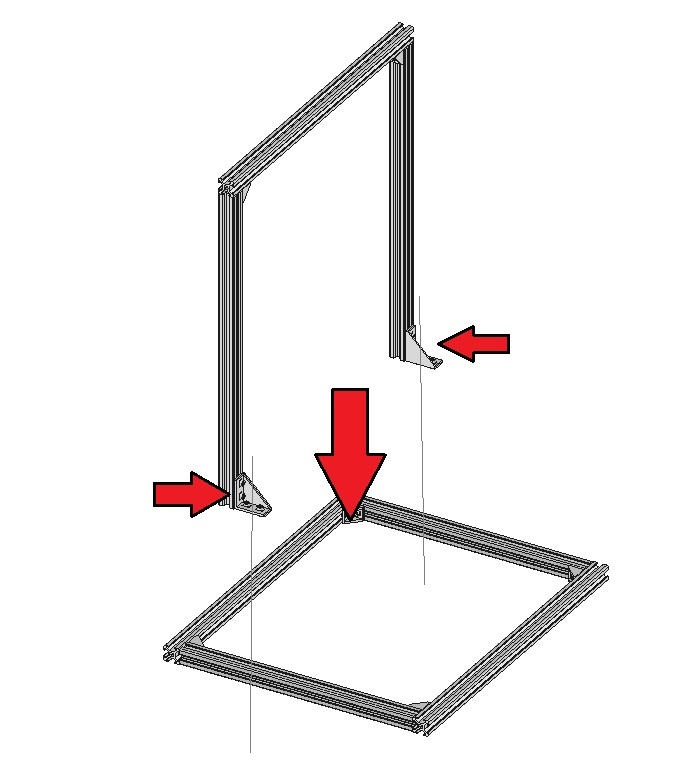 On this picture, they should exit at the bottom of it. 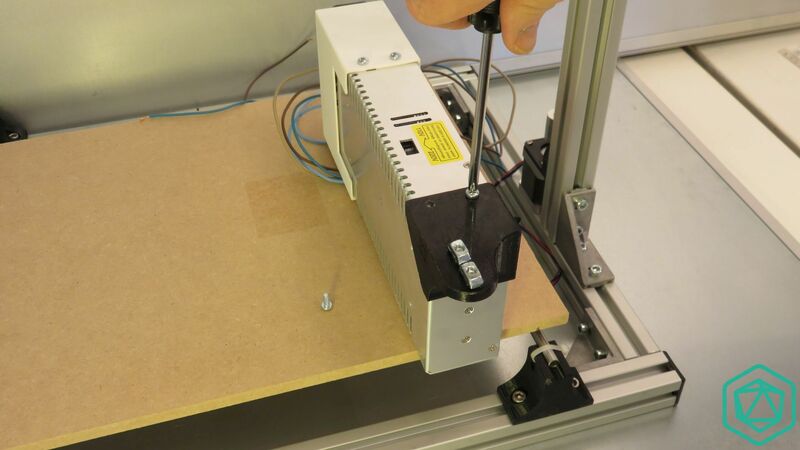 The LCD scree is to be screwed with 4 M3x8mm screws on it’s dedicated support. 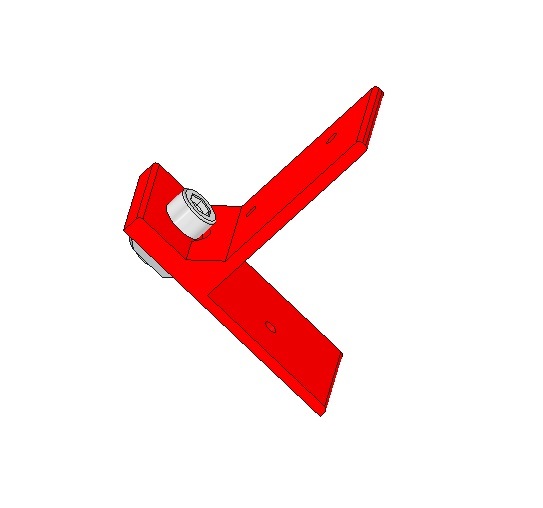 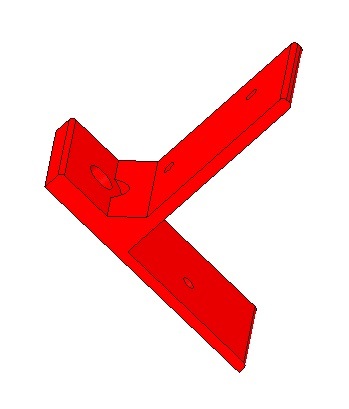 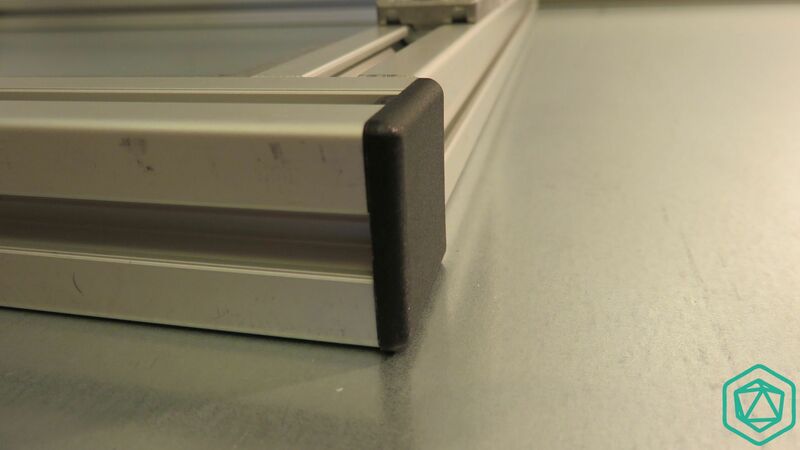 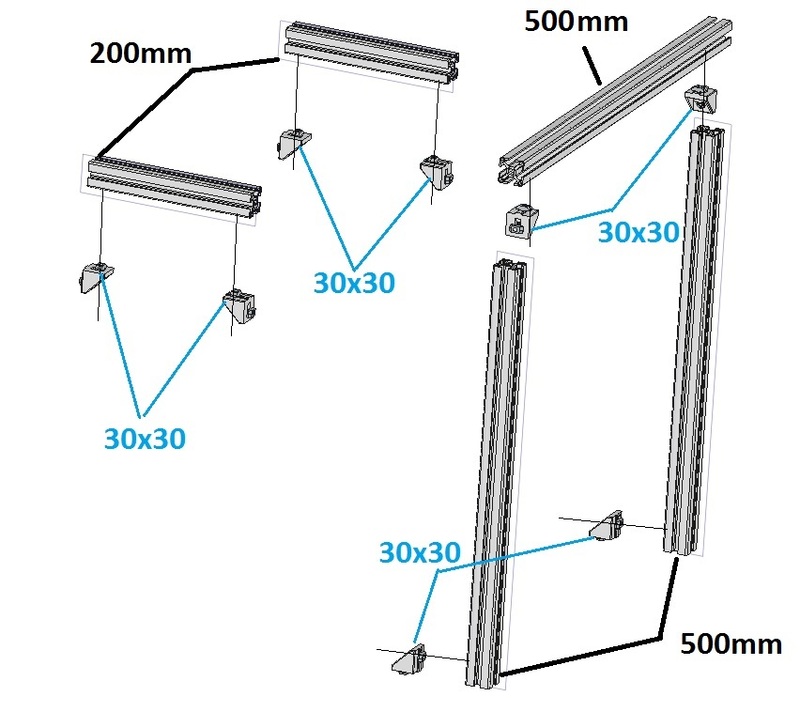 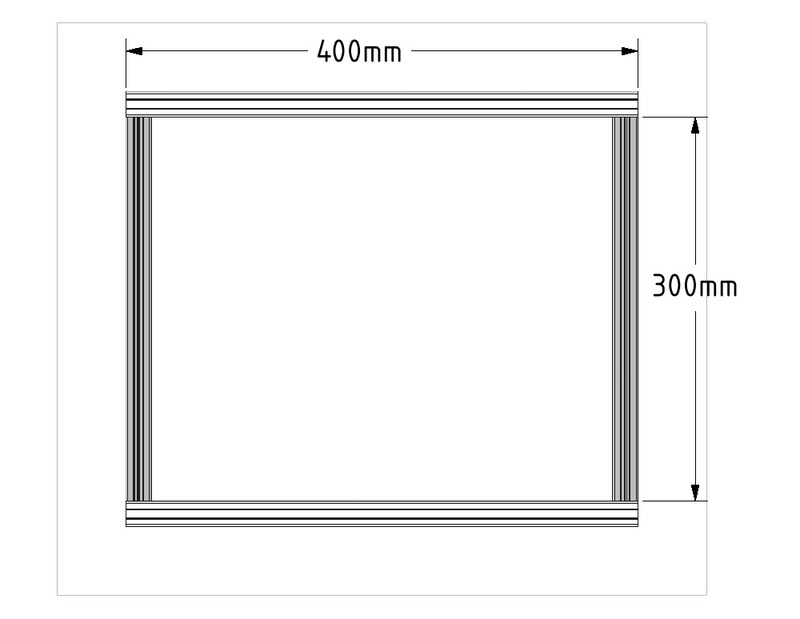 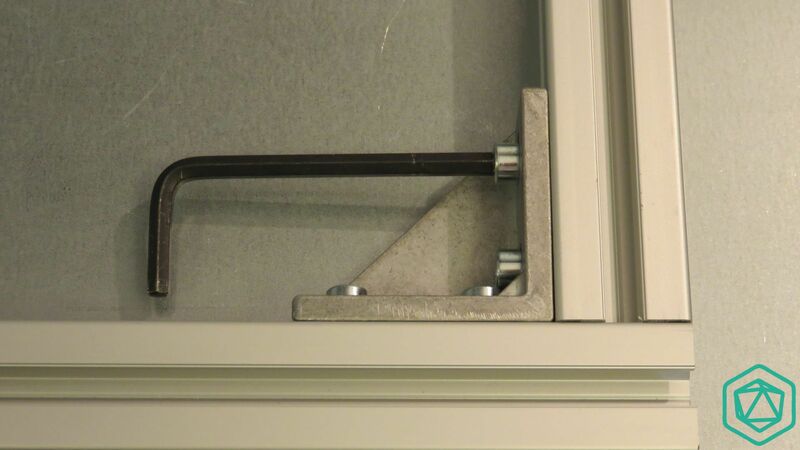 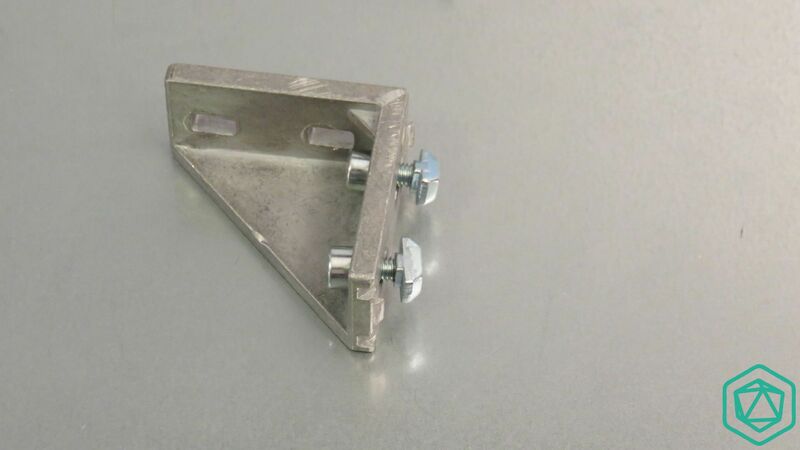 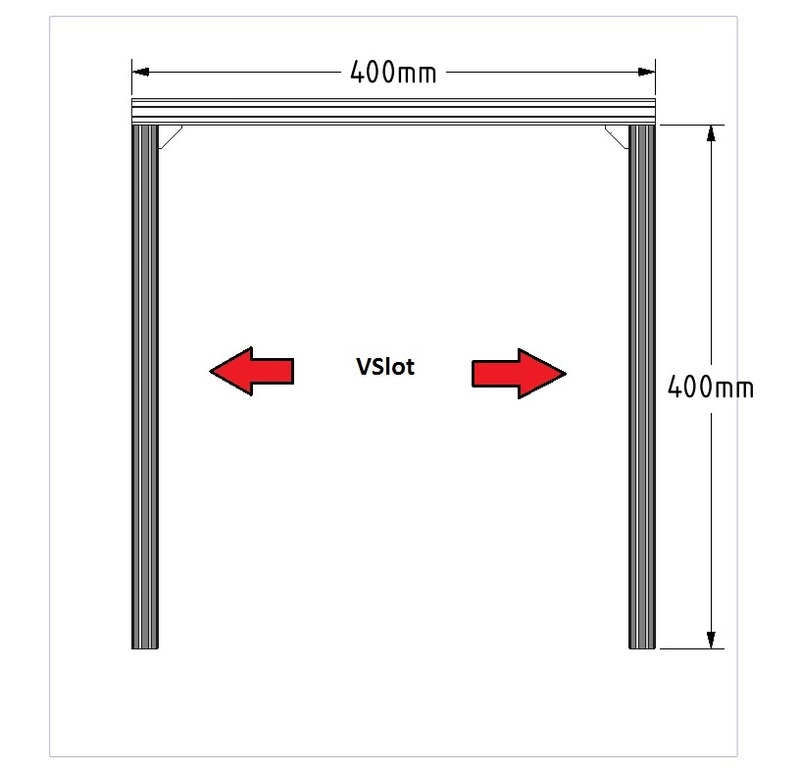 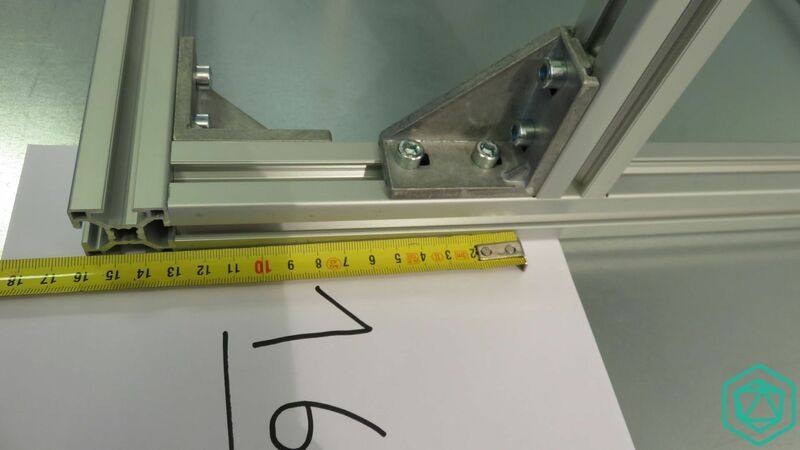 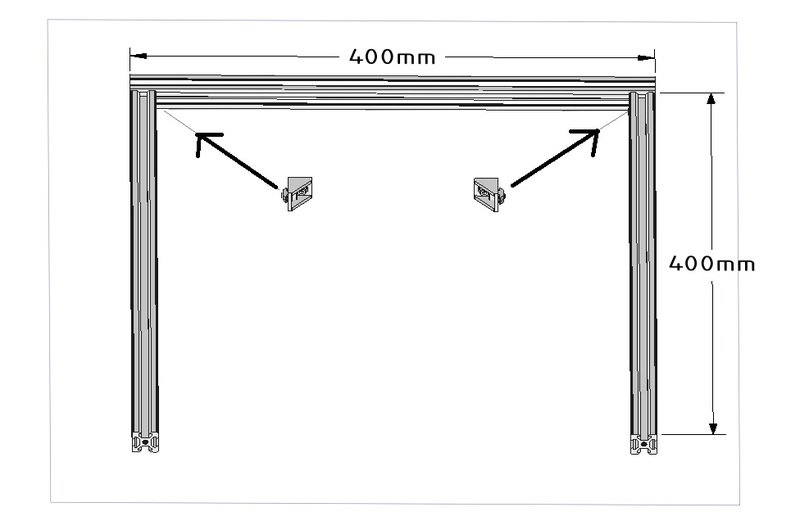 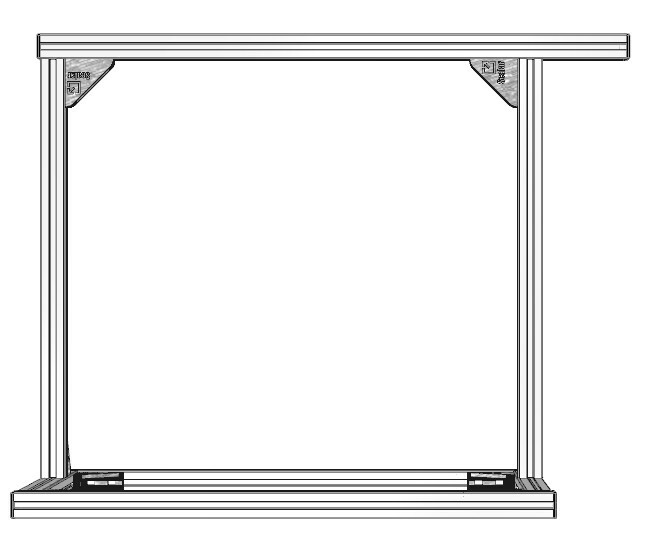 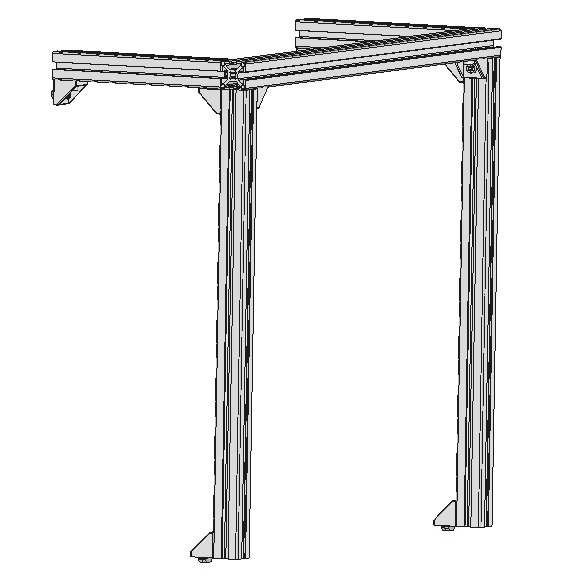 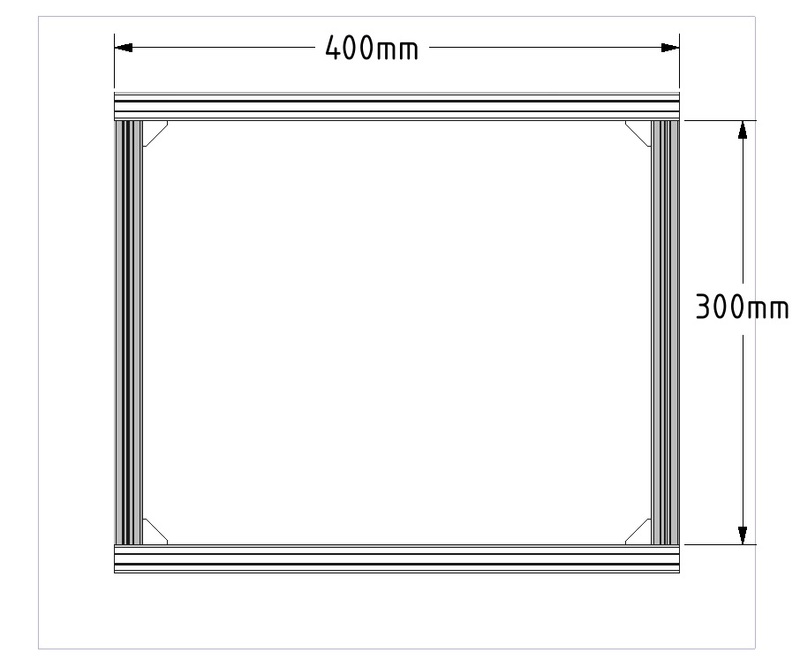 The support will then be screwed on the other part of the box using 4 M3X20mm screws. 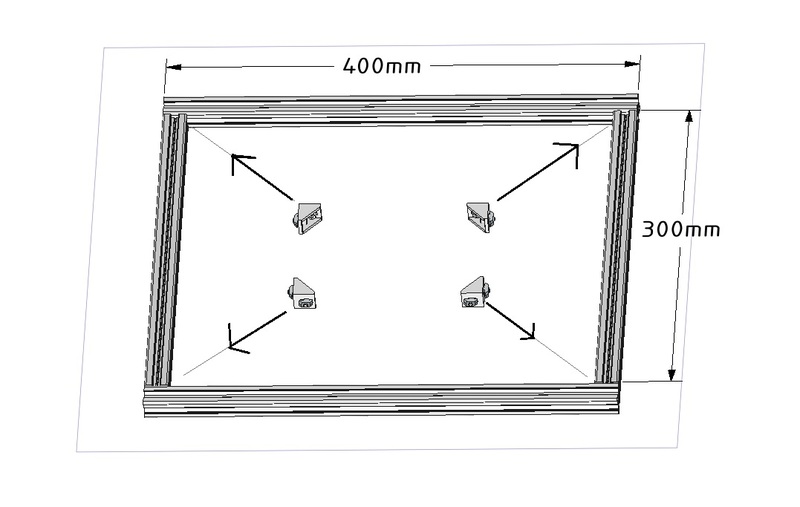 The fan grid will directly be screwed using 4 M3X8mm. 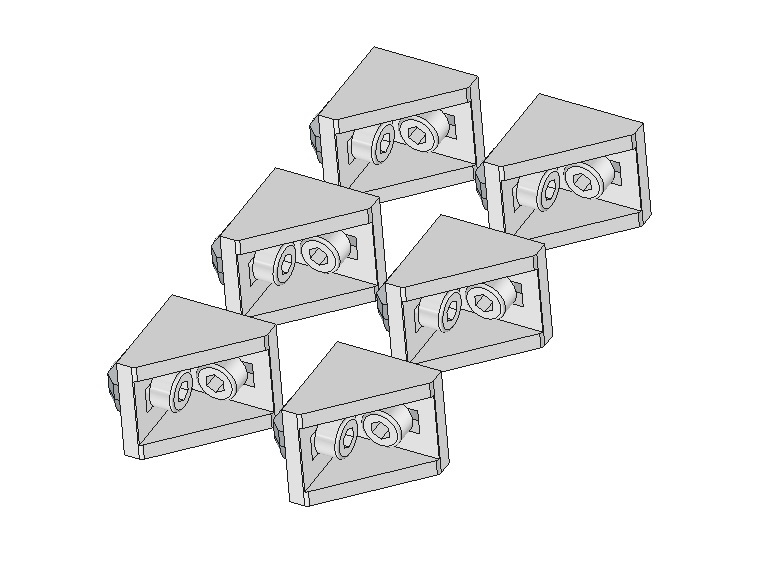 Starting from V2.0 the electronic box has became modular. 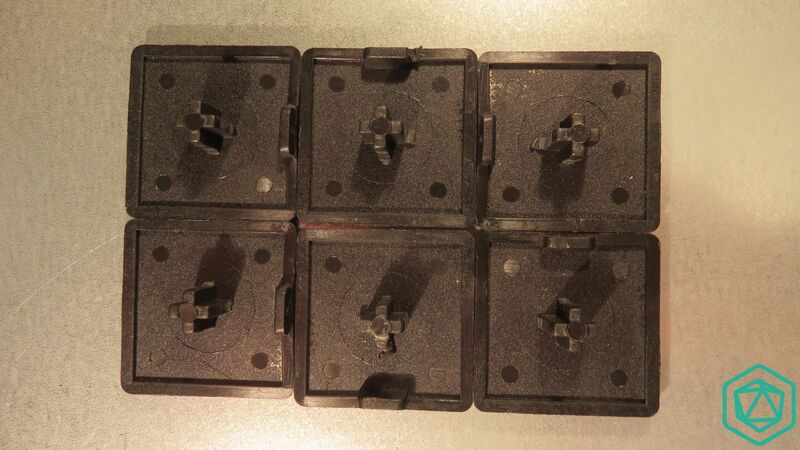 Each wall of the box is a separate plastic part that can be upgraded, changed, adapated depending on your needs. 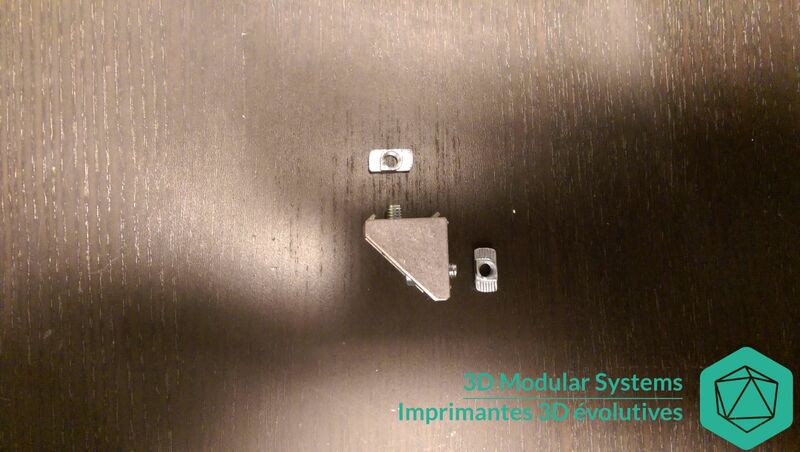 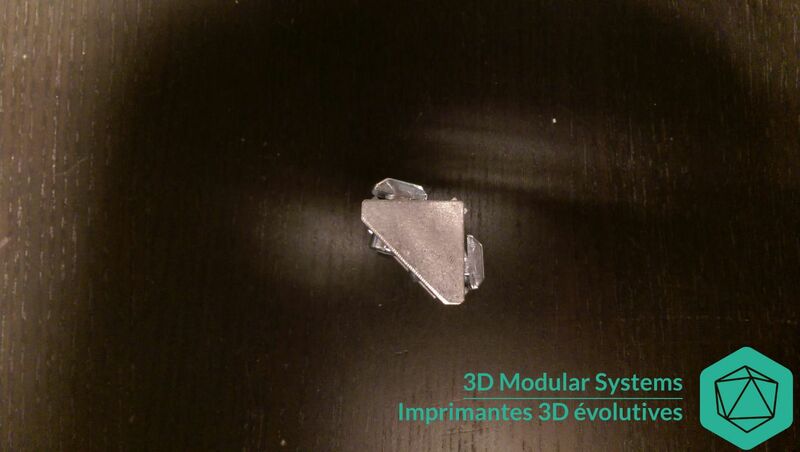 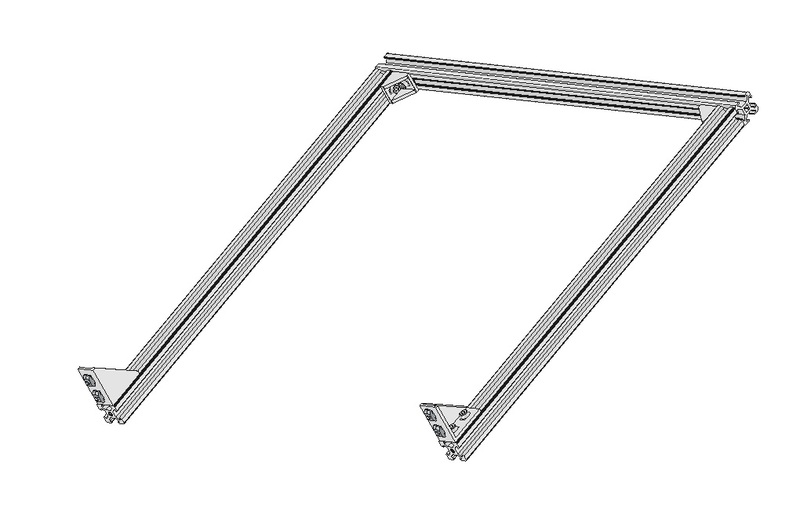 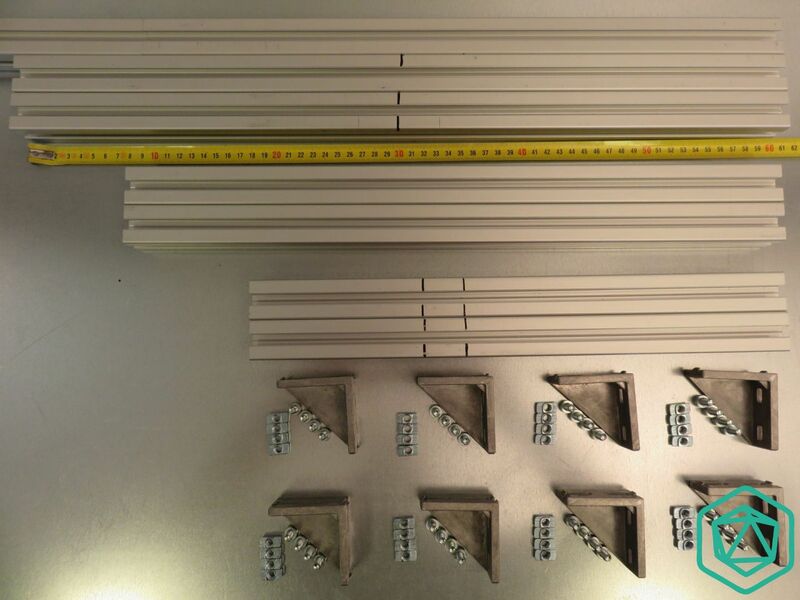 On this picture you can see that each part is independent from each other and can be assembled easily. 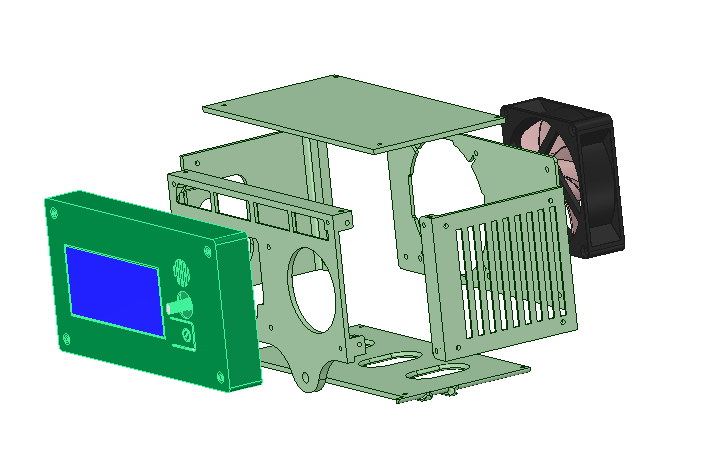 On version 2.5 of the box the 80mm fan is placed on the back of the box and the LCD screeen is switch from front to back. 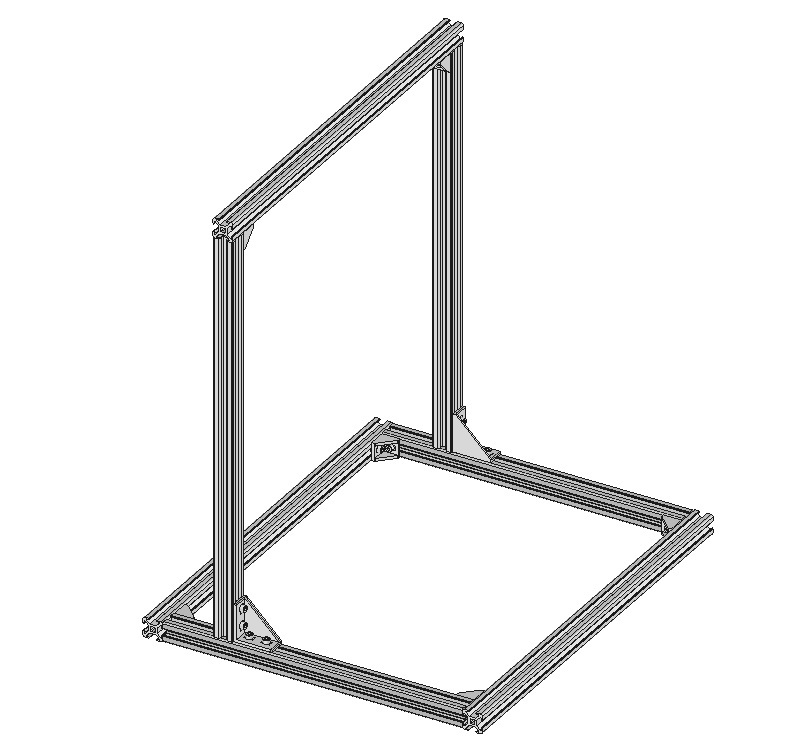 The left side has now a simple grid for airflow output. 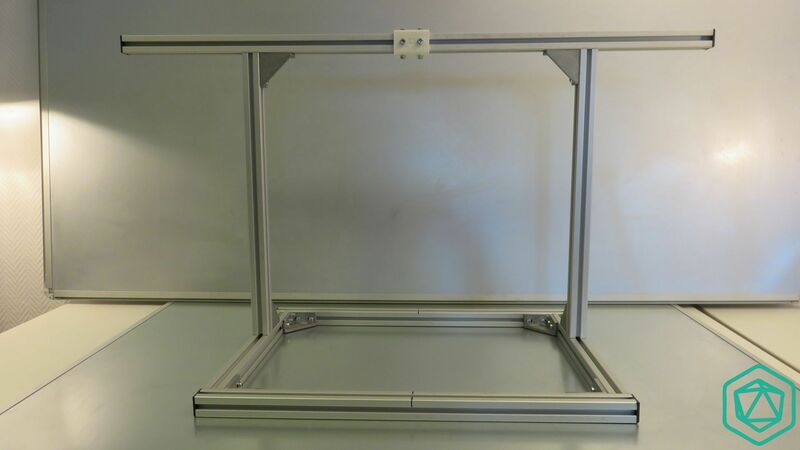 Here is a picture of the box assembled. 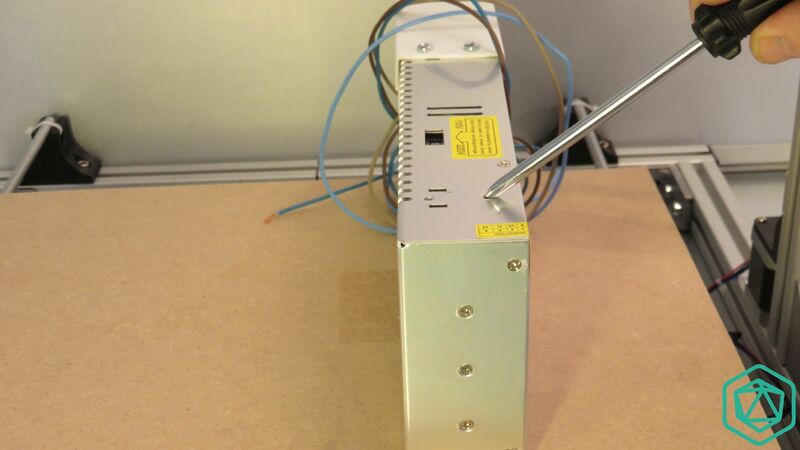 And here a view of the box from the side. 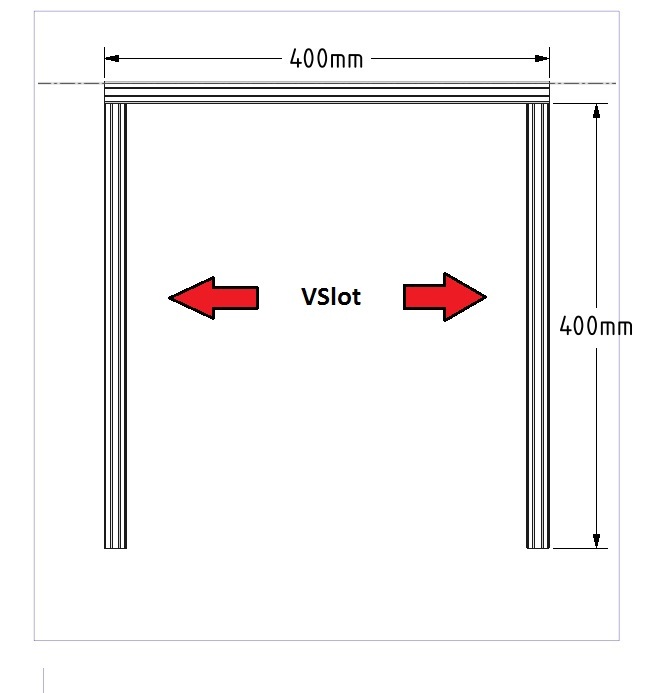 The location of the box is exactly the same as previously. 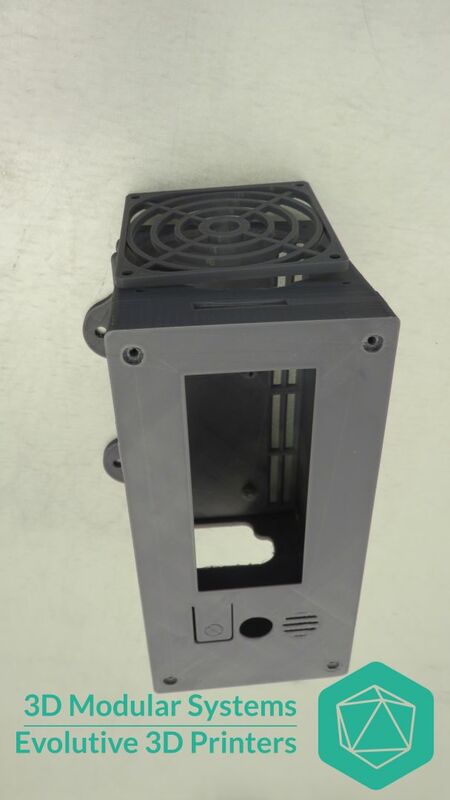 The change here is the location of the 80mm fan, now placed at the back of the box. 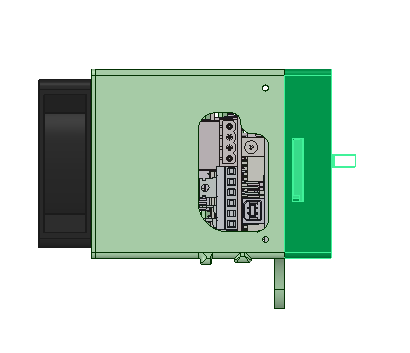 The main change from Version 2.0 is the position of the LCD screen. 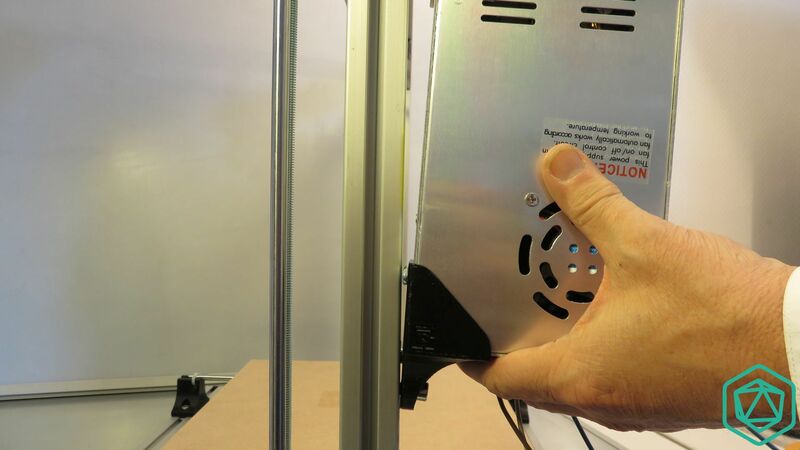 The front of the printer now becomes the back and vice versa. 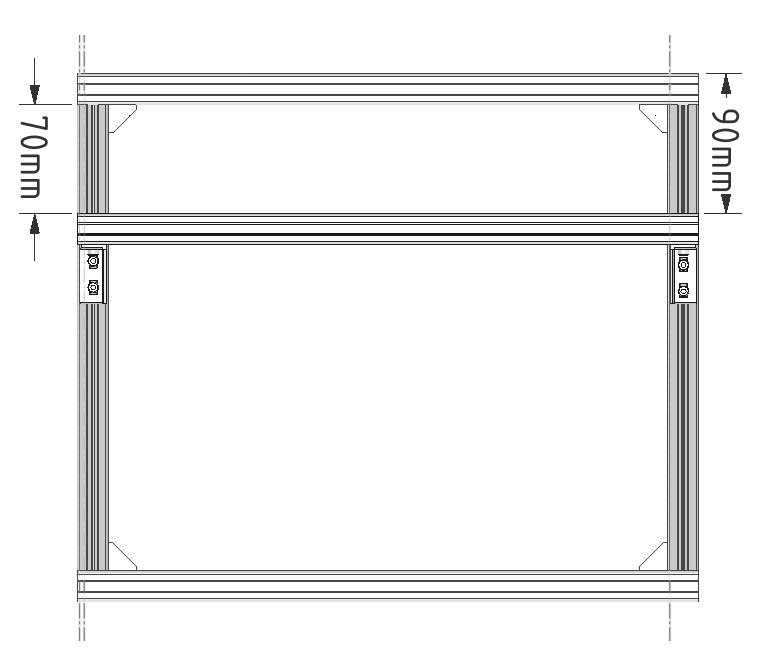 Here is the view from the other side of the printer. 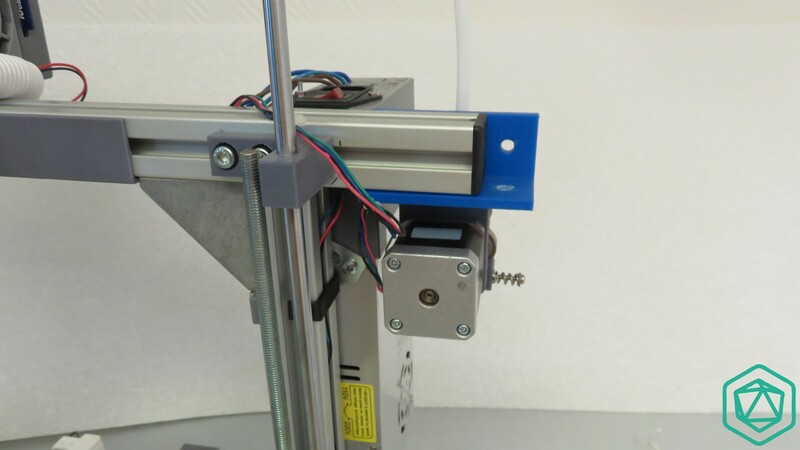 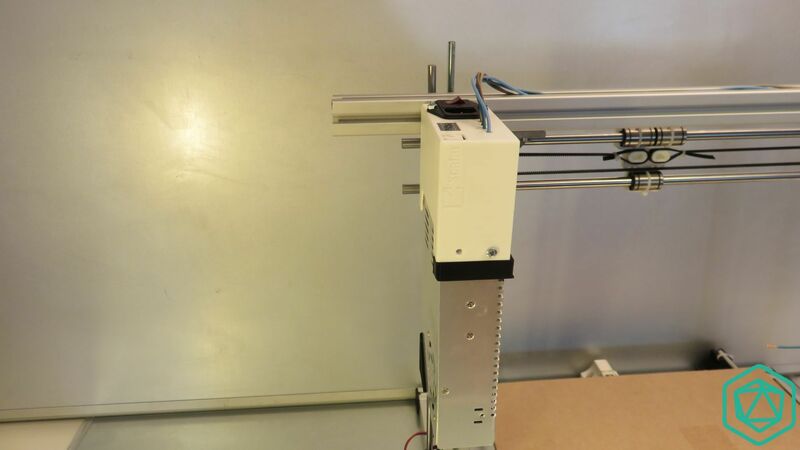 The Z axis stepper motors are now facing you and you have direct acces to the hot end. 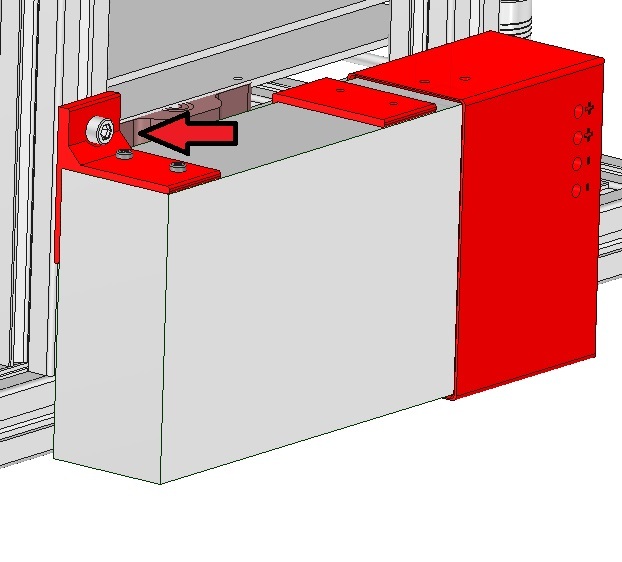 The spool holder is now on your right. 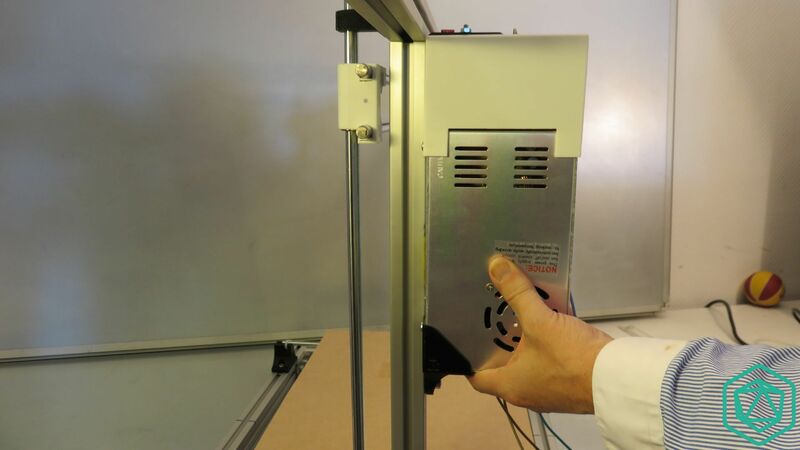 here is a close look of the box showing you that the LCD screen has more stability, as it’s closer to the top extrusion profile. 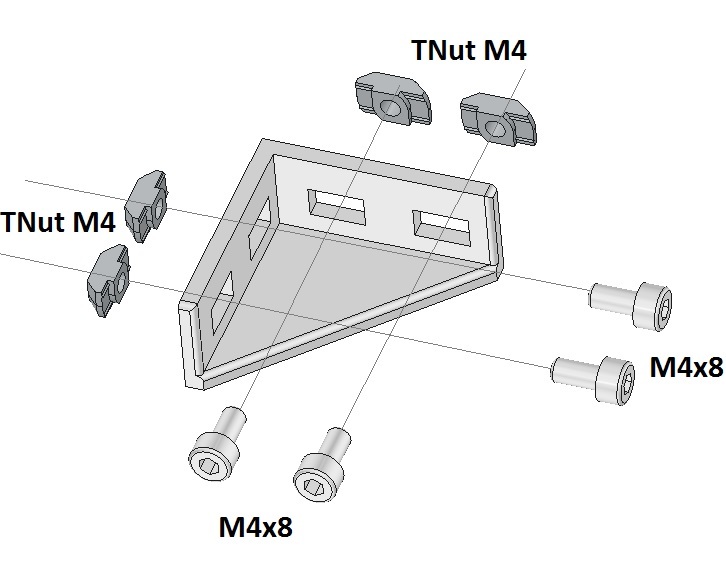 Take the LCD module previously assembled and prepare the M6 Screws + T-Nuts. 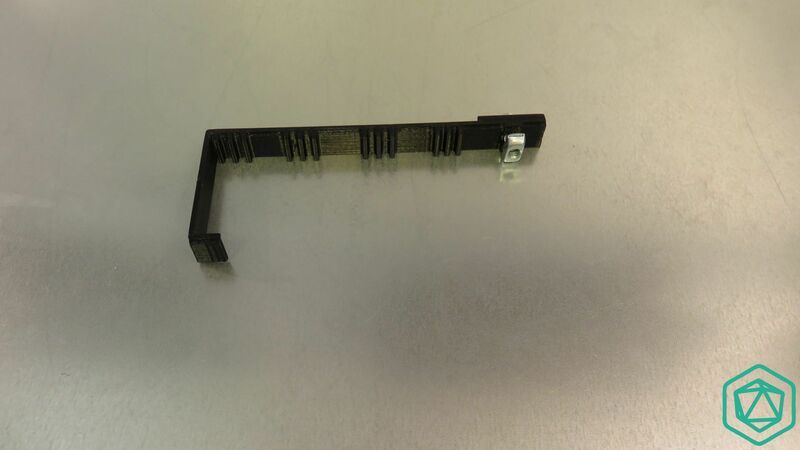 Place 2 screws and the outside of the plastic parts. 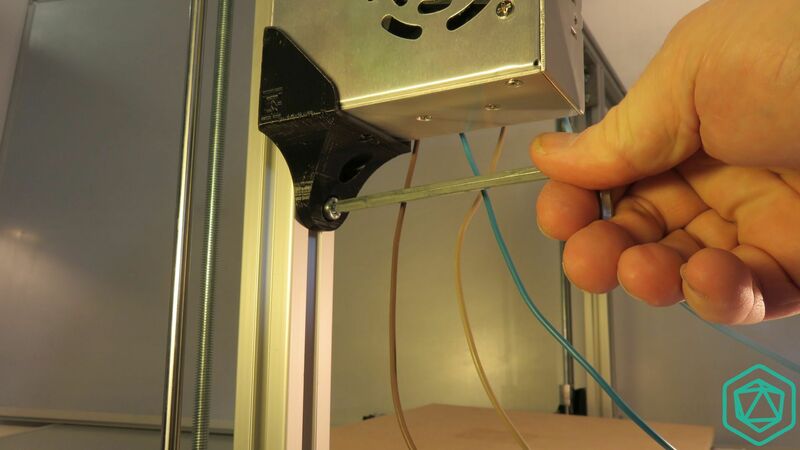 Now take the Arduino plastic support . 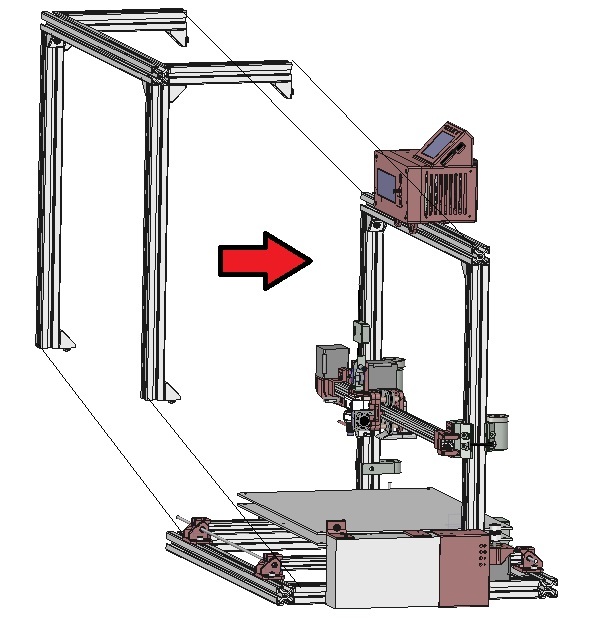 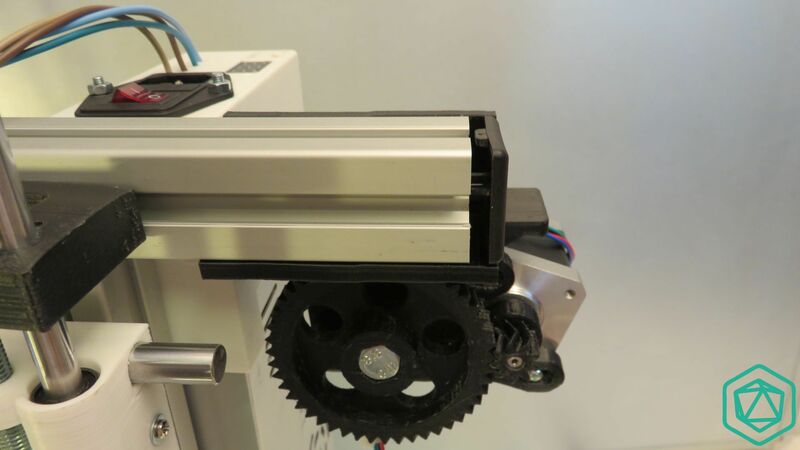 When looking at the machine from behind, place the previous parton the top right corner, it’s the corner where the X axis motor is located as shown on the photo. 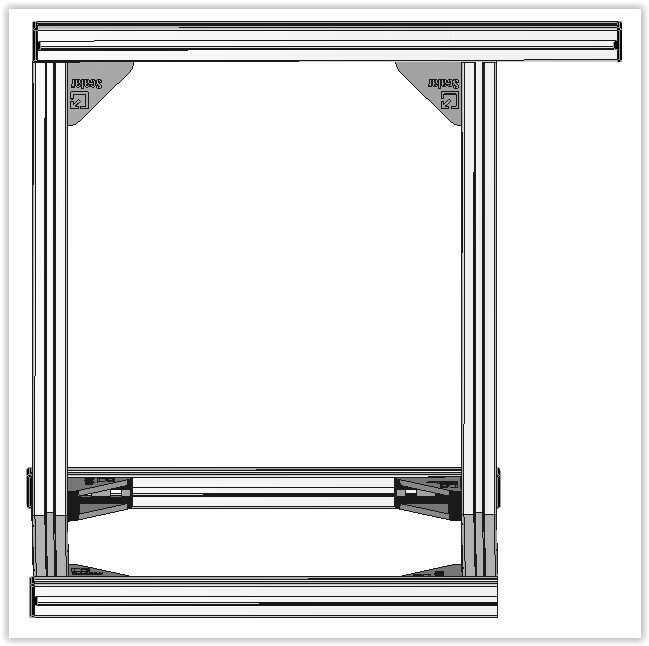 Now screw the electronic module so that the LCD module is located on the top aluminum extrusion and the other electronic module fixed on top right corner of the 2 aluminum profiles . 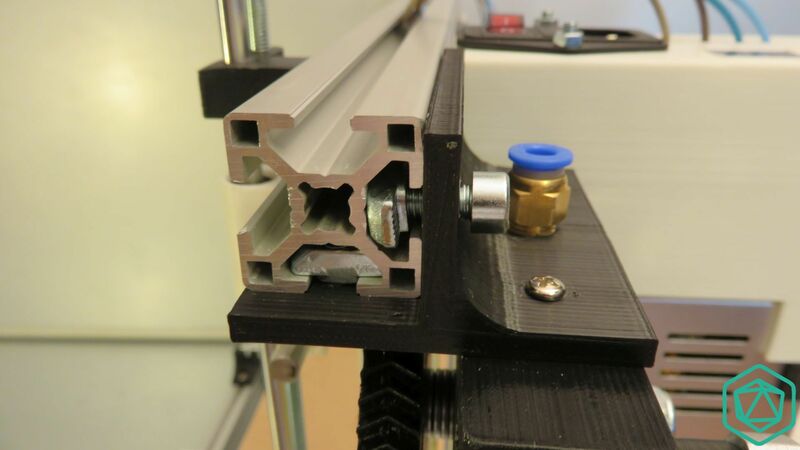 The 2 top screws are screwed on the top extrusion, and the 3rd bottom right screw is tightened on the side extrusion. 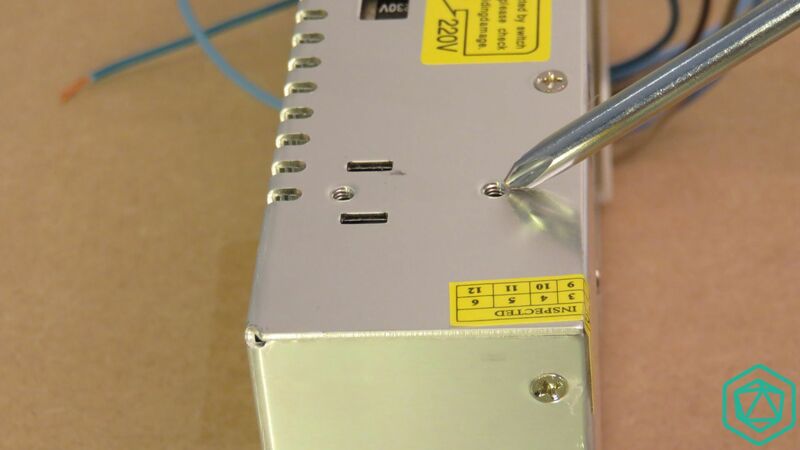 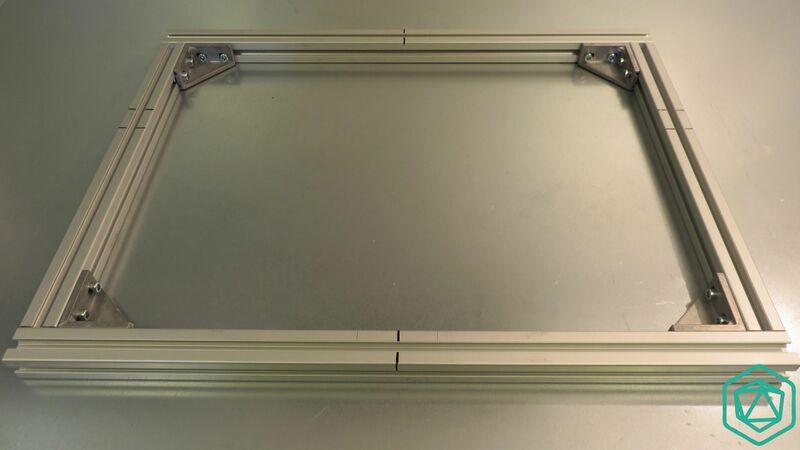 In order to keep a clean way for future cable sets, you can place the exceeding LCD wires between the square holders of the chassis and the plastic electronic support. 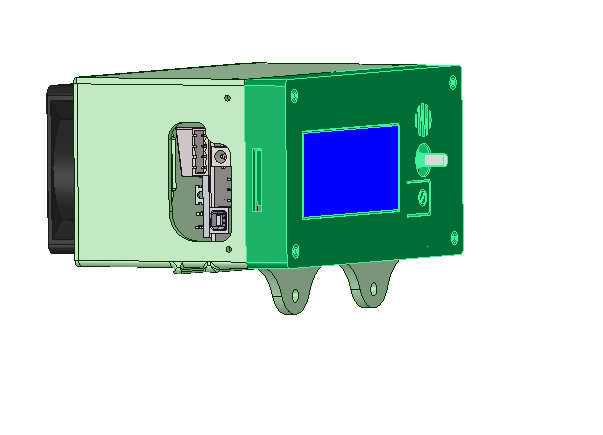 Here is a global front view of the LCD located at the top left corner. 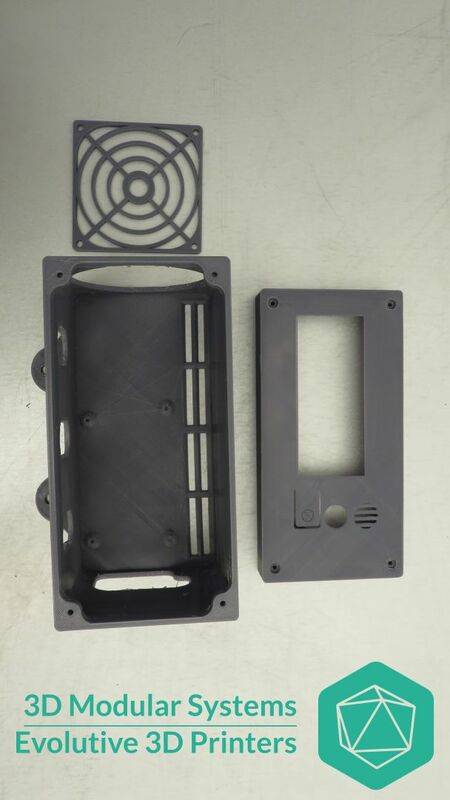 For those having the LCD box, It’s placed at the same location as the other model. 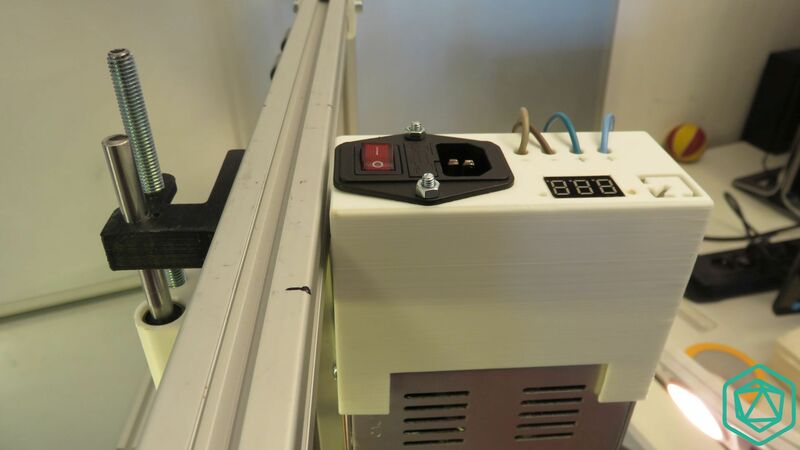 Here the picture shows the back of the printer (the opposite side as the previous picture). 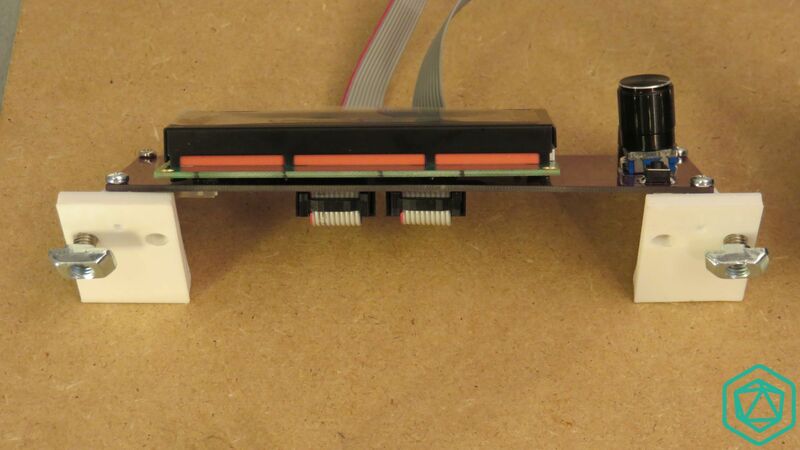 The front of the LCD is placed on the same side as the power supply, but on the right side. 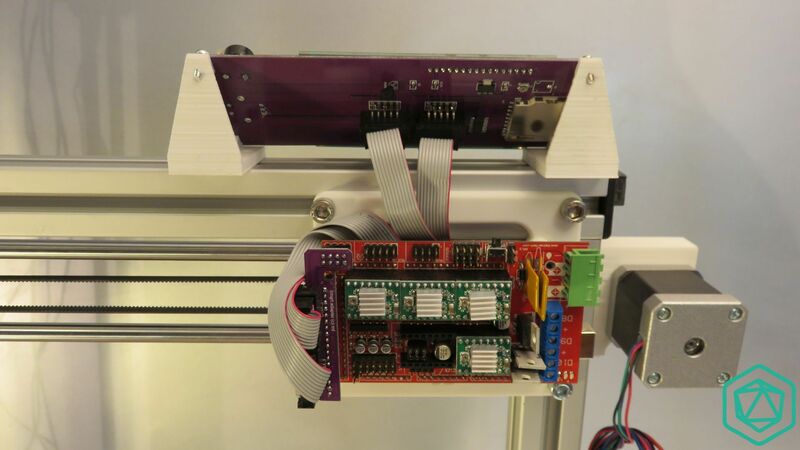 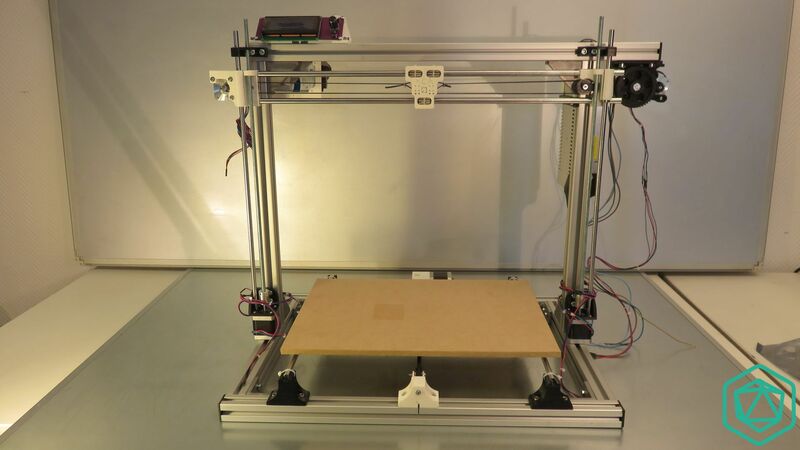 Cette entrée a été publiée dans Electronique, Imprimante Scalar, Imprimantes, Scalar XL, et marquée avec Arduino, chassis, electronic, Funduino, LCD2004, Ramps, wiring, le 14 May 2015 par 3D Modular Systems.